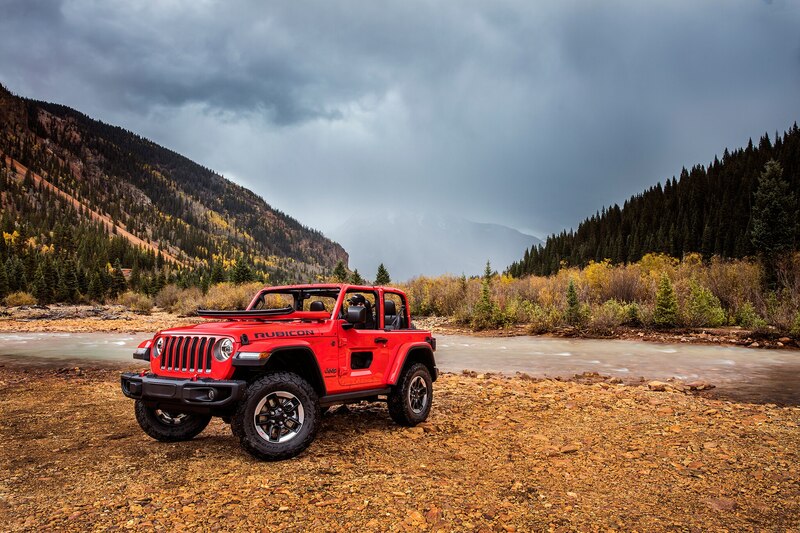 To demonstrate the breadth of its available accessories, Mopar unveiled two modified Wranglers at the Los Angeles Auto Show this week. 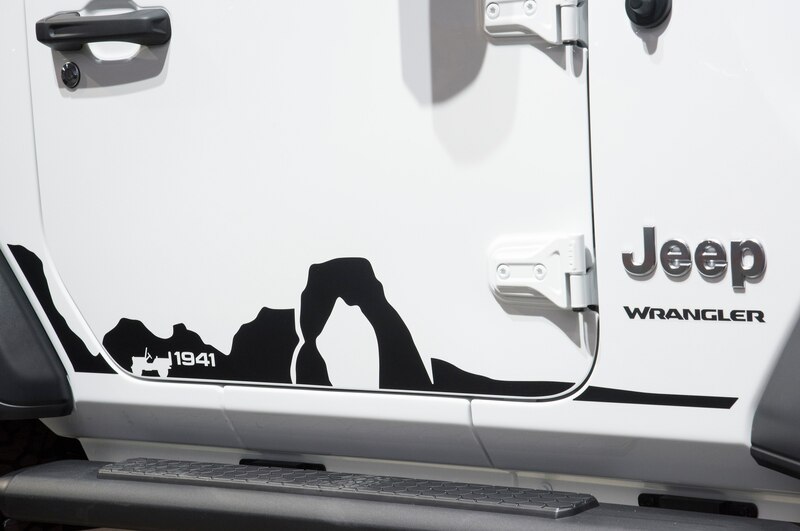 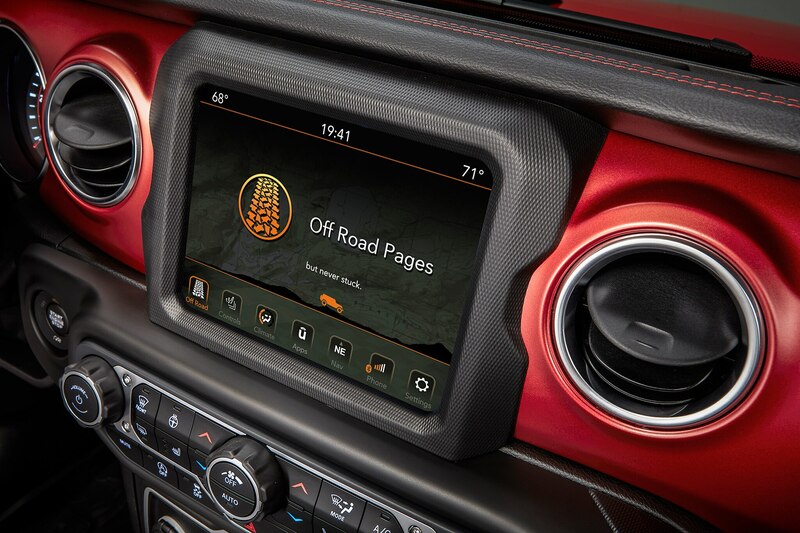 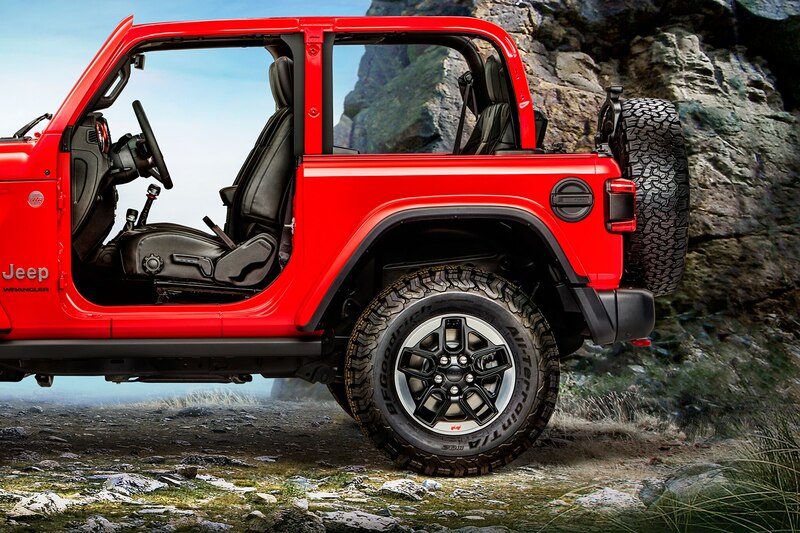 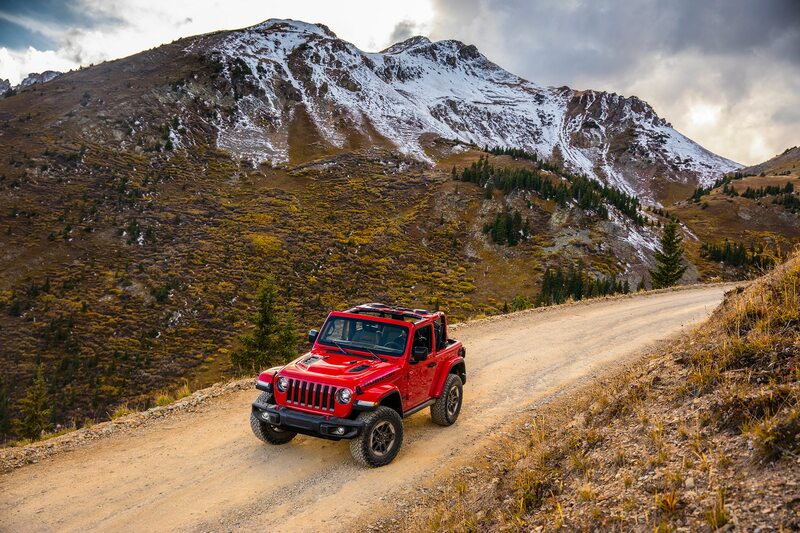 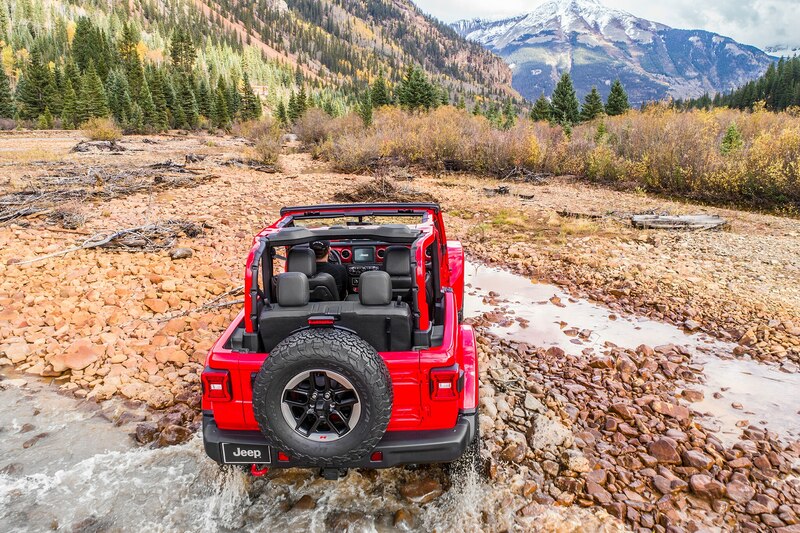 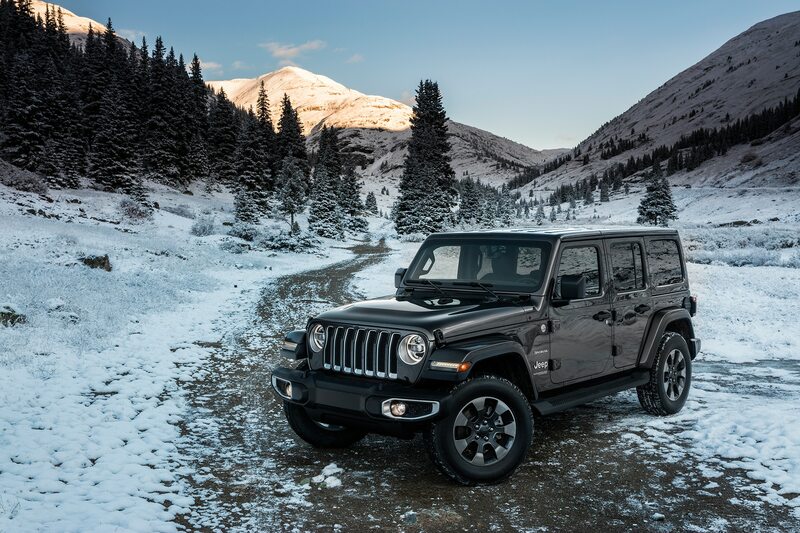 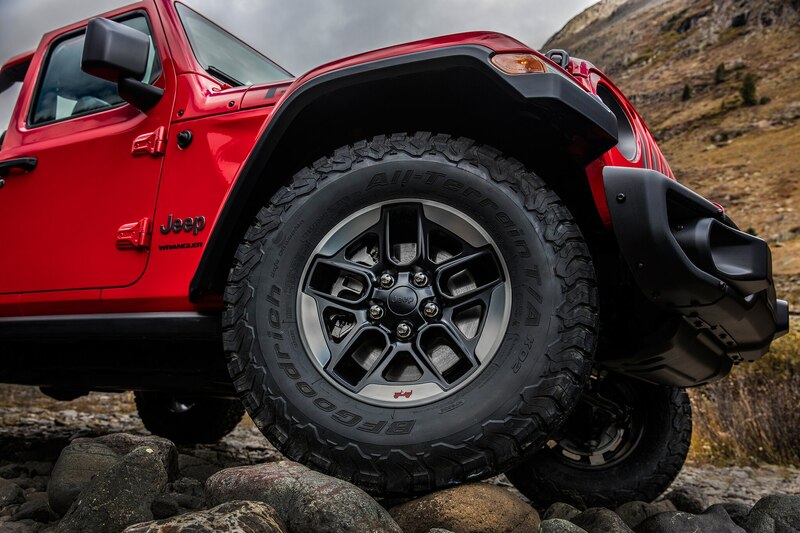 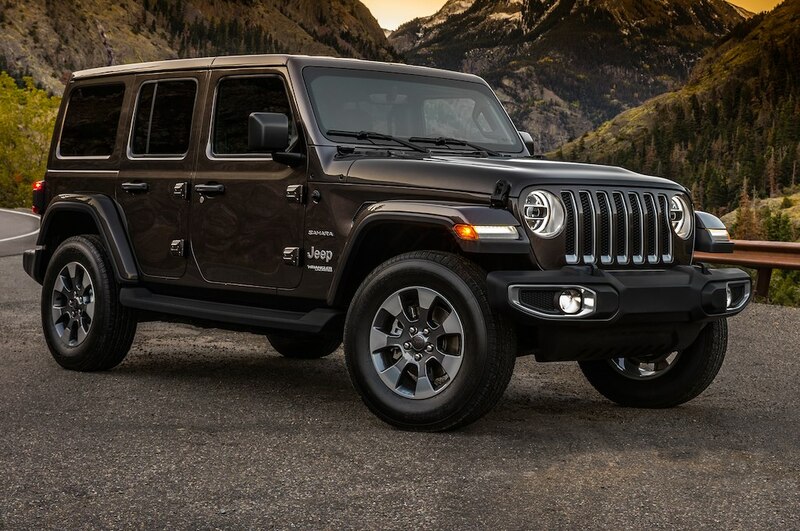 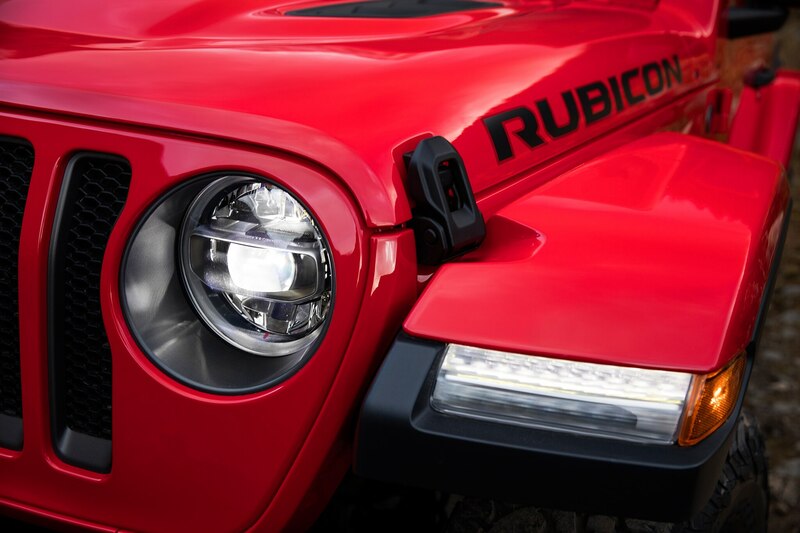 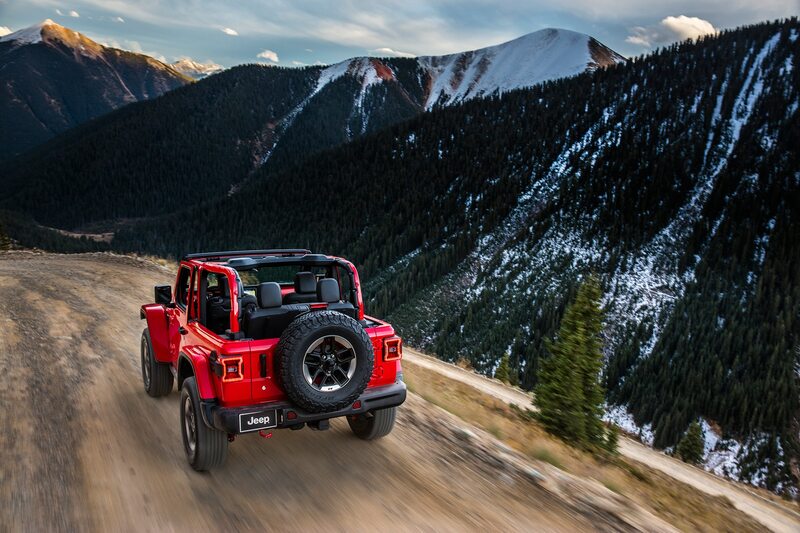 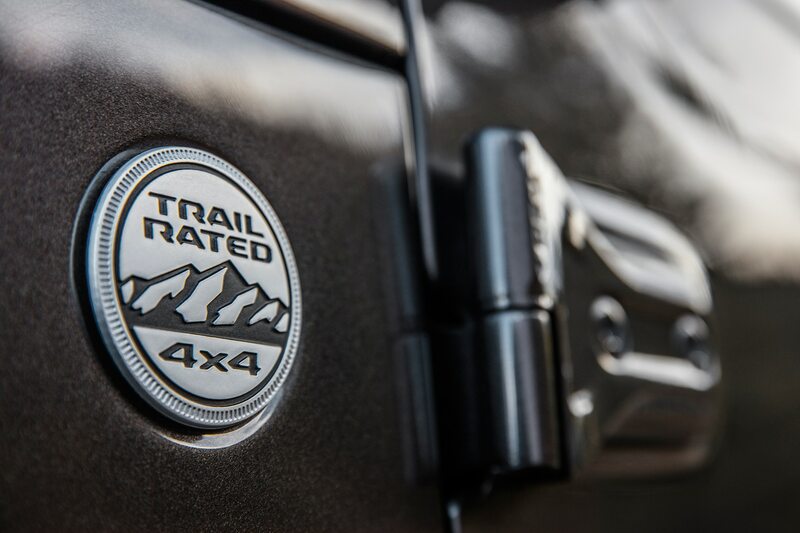 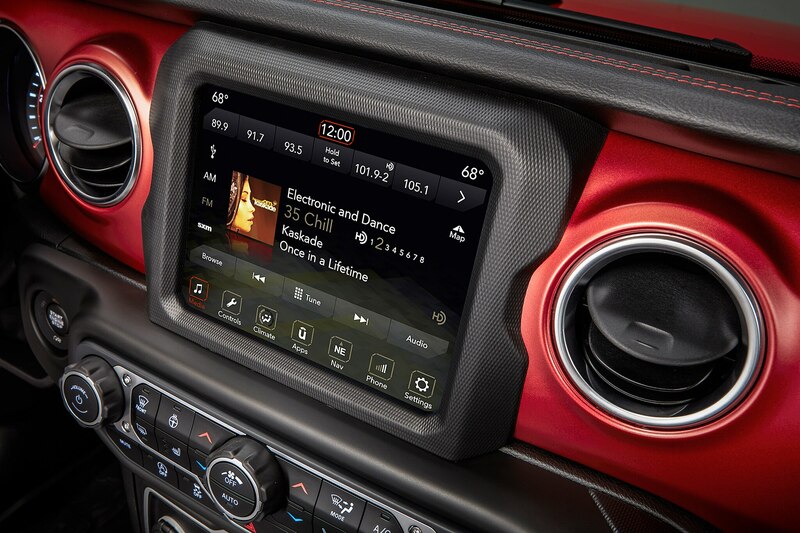 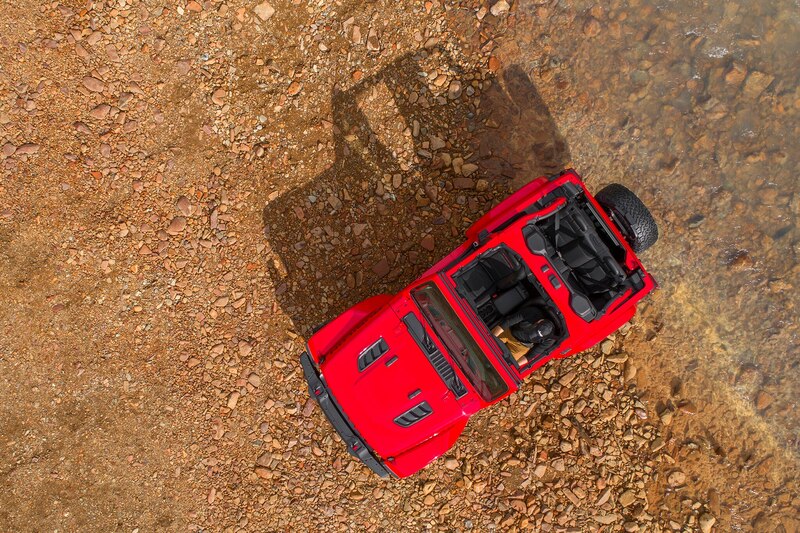 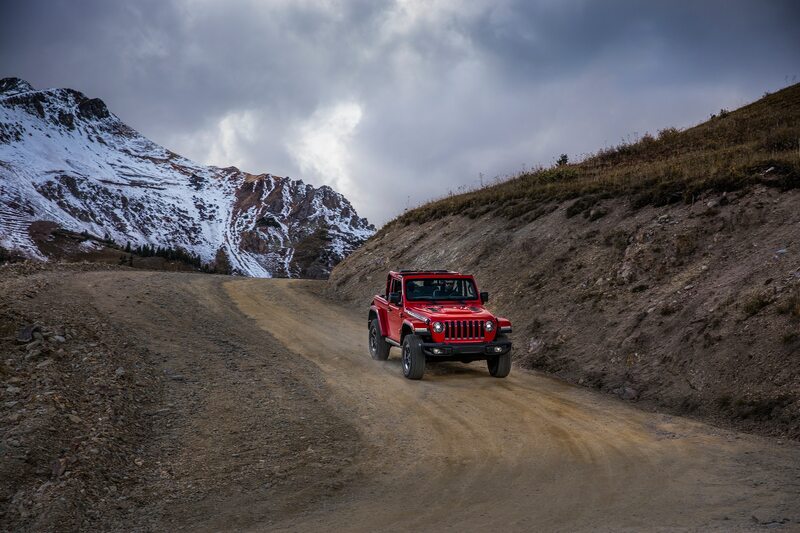 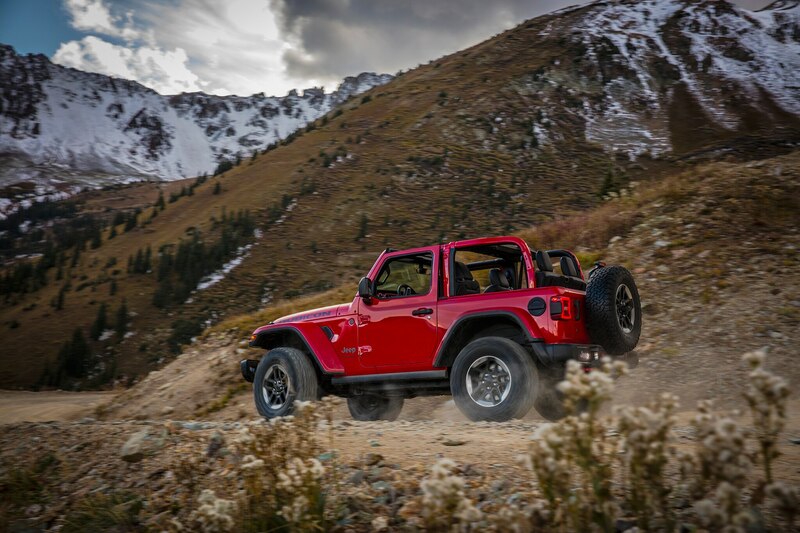 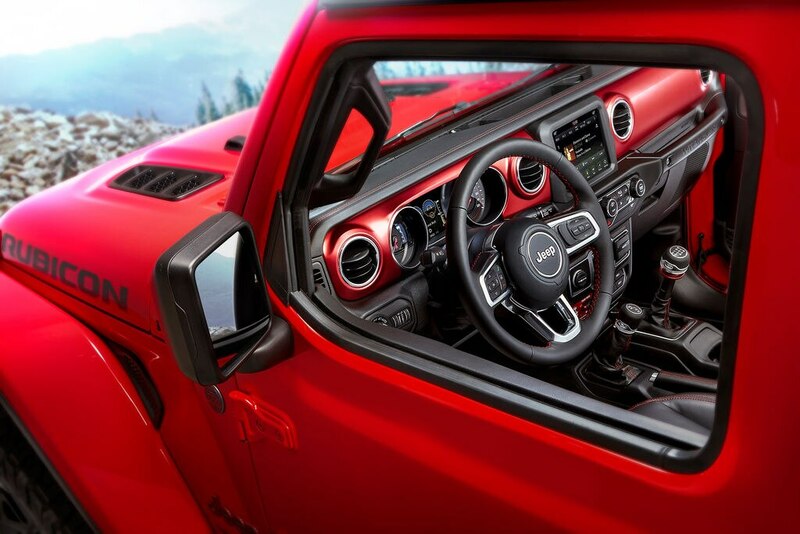 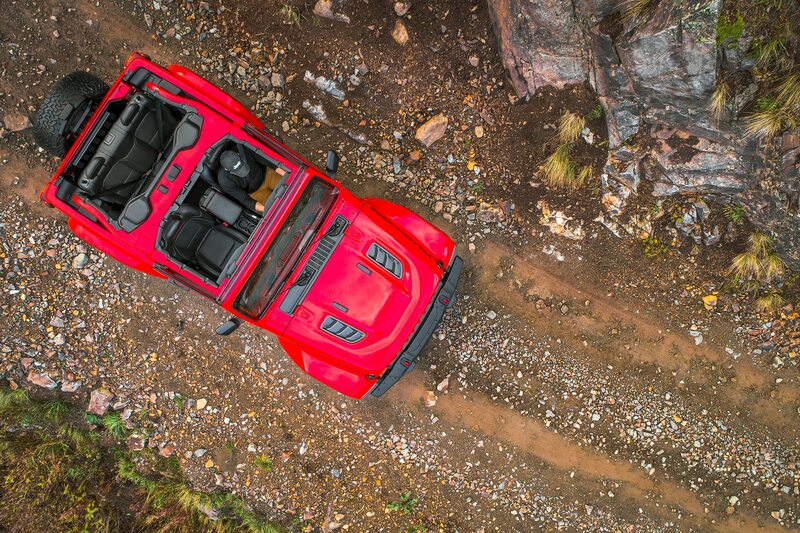 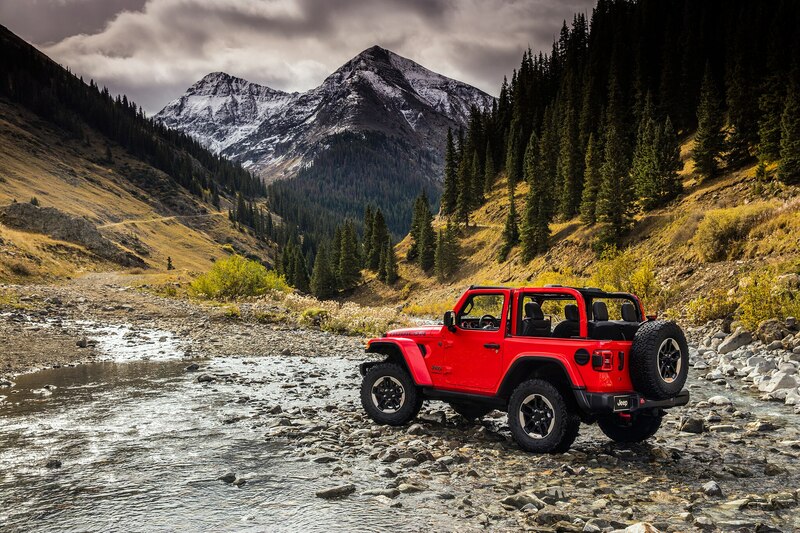 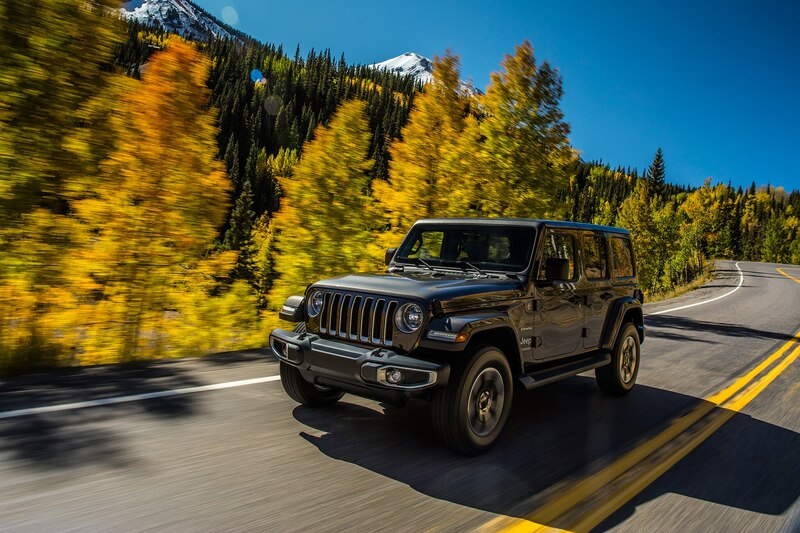 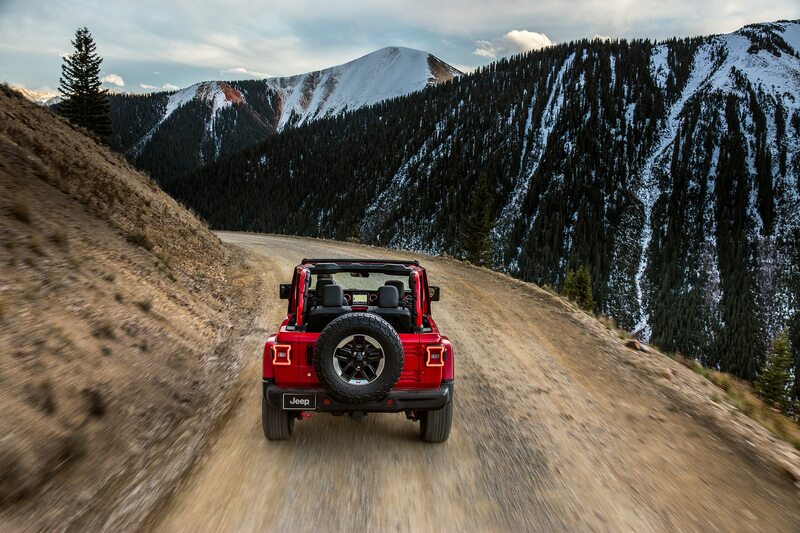 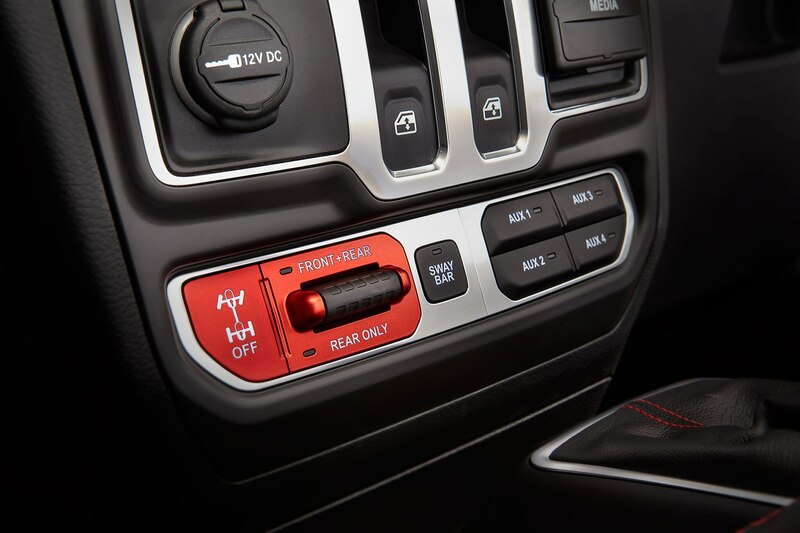 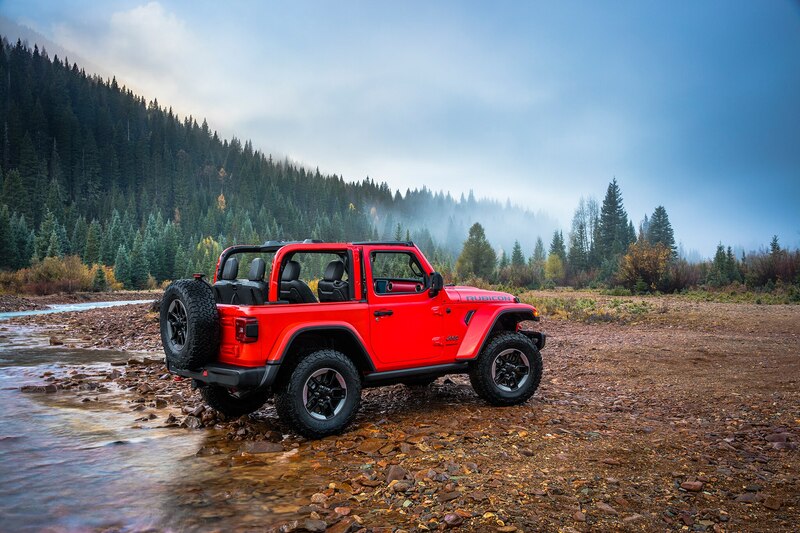 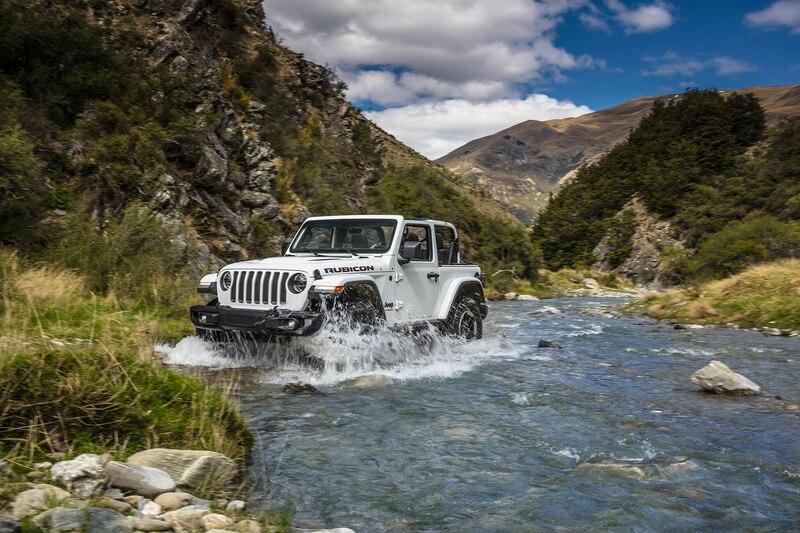 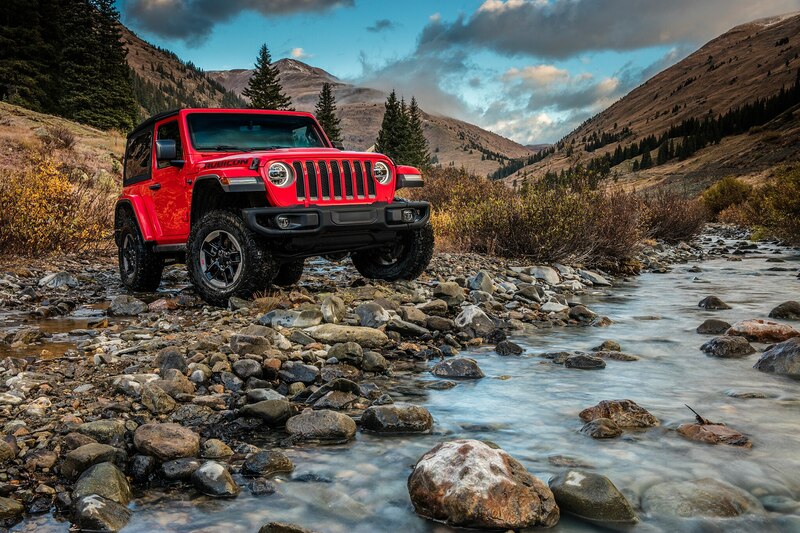 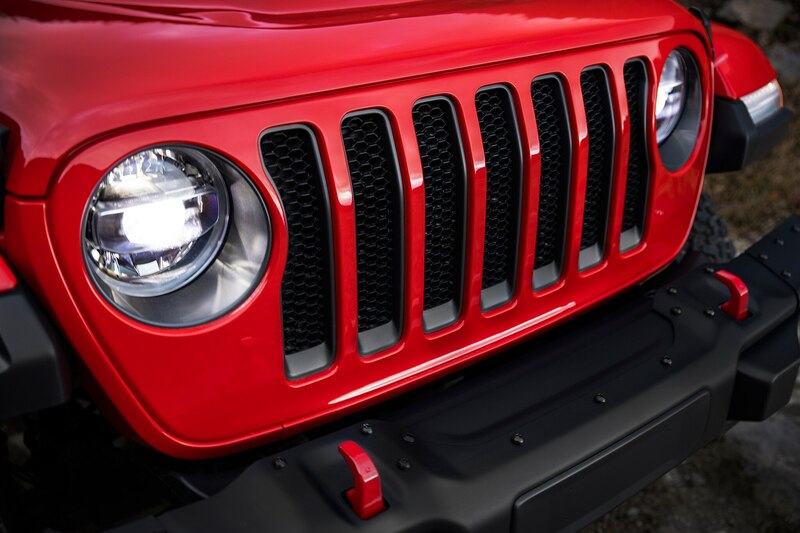 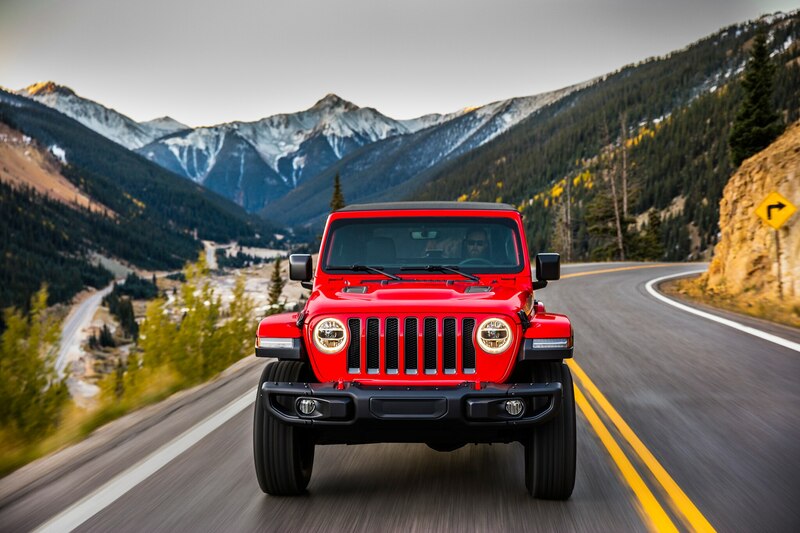 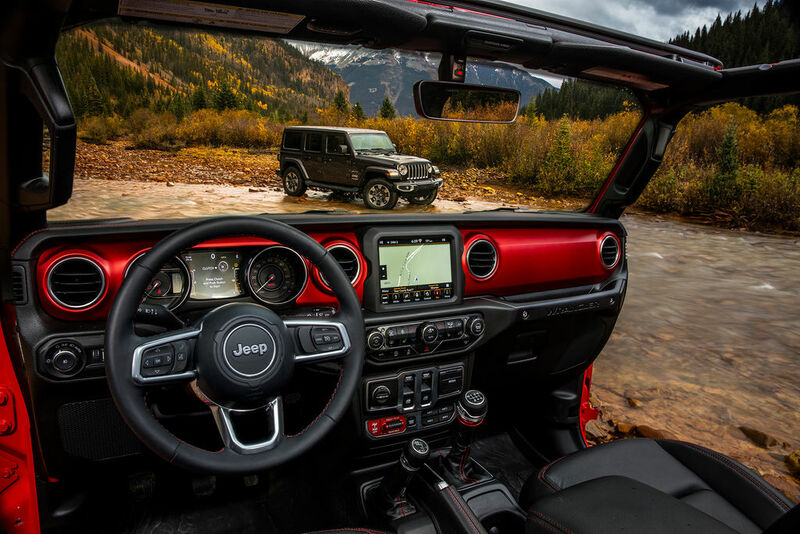 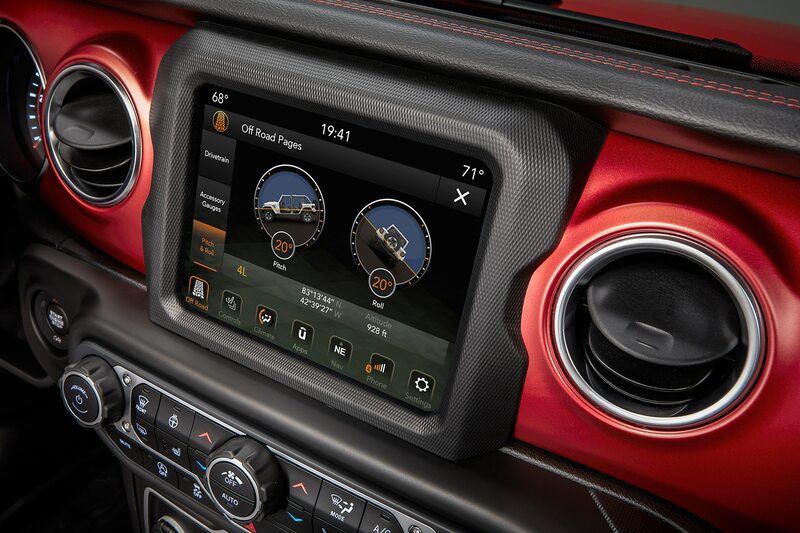 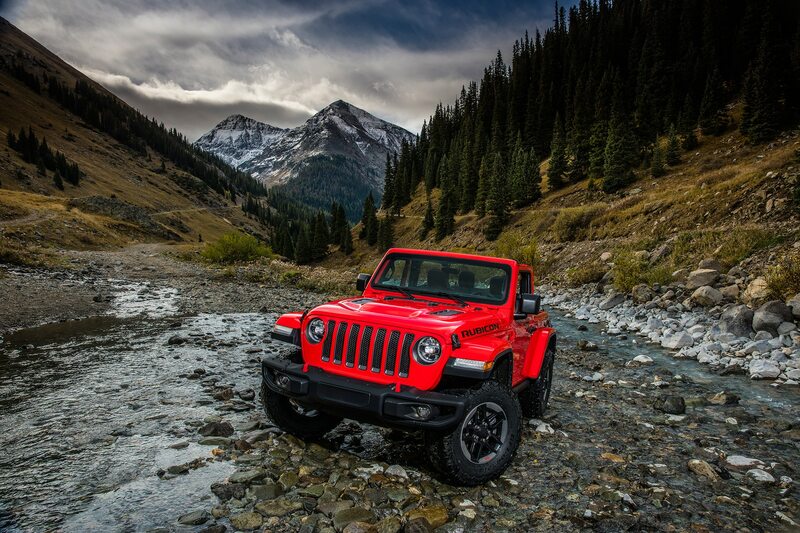 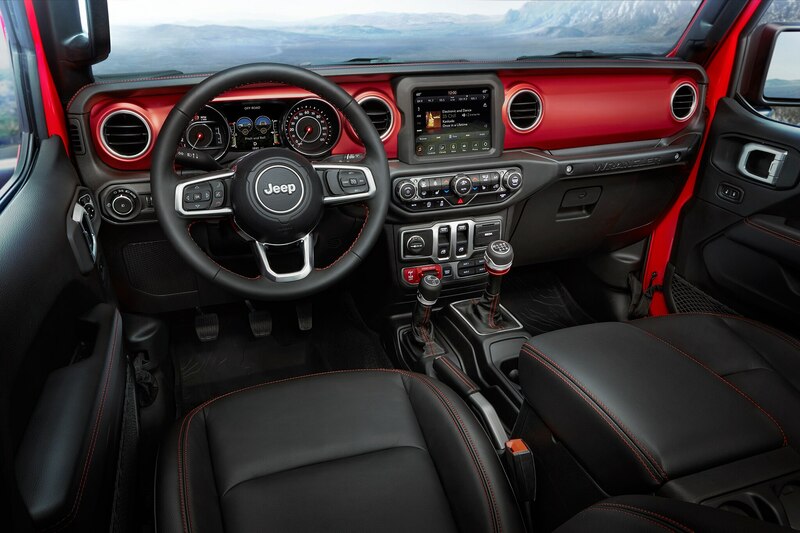 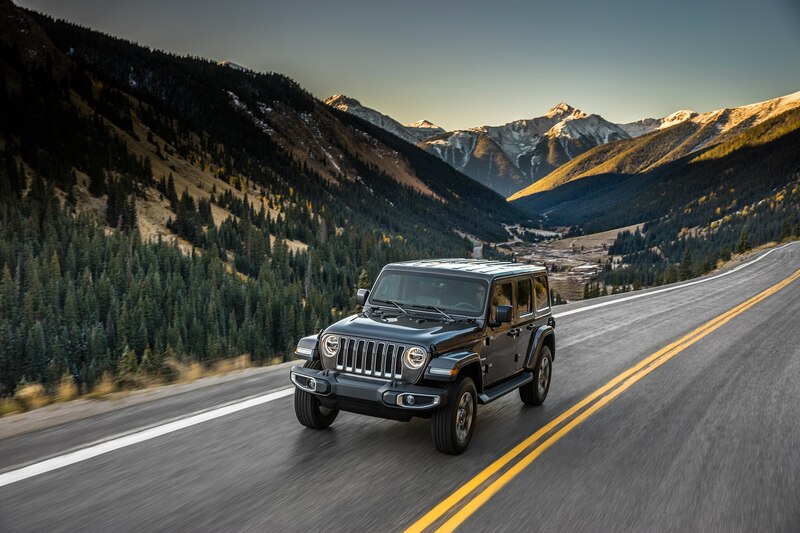 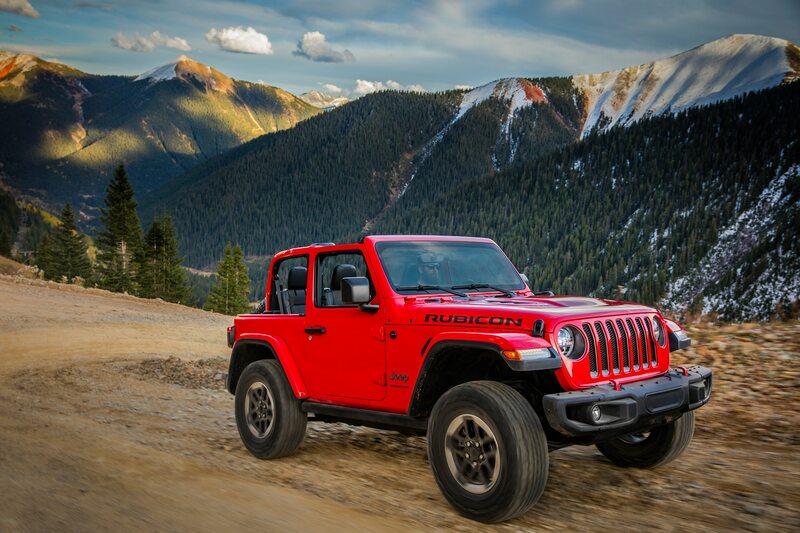 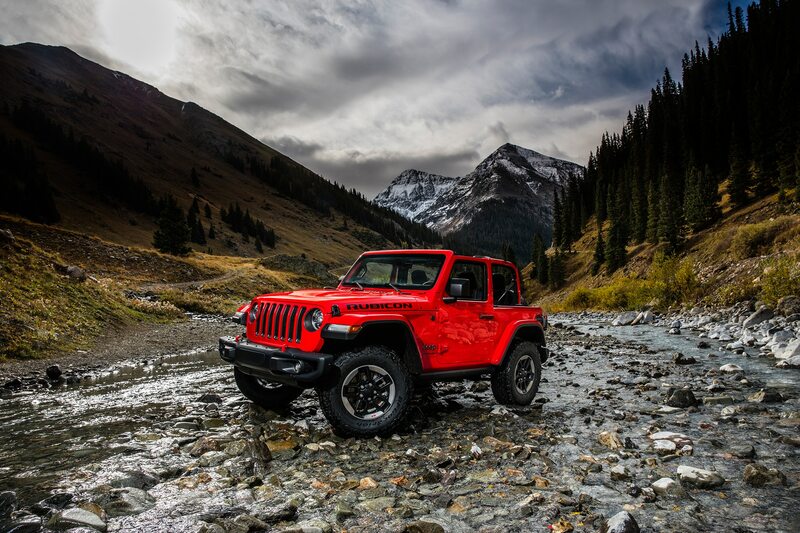 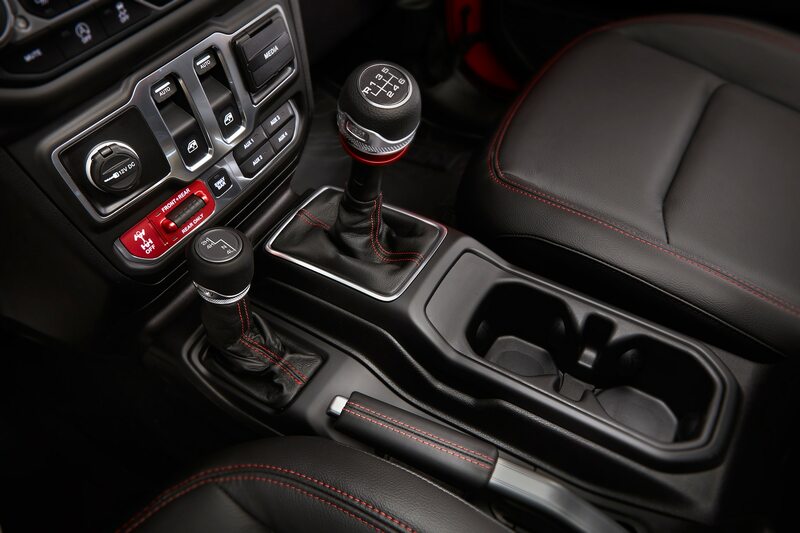 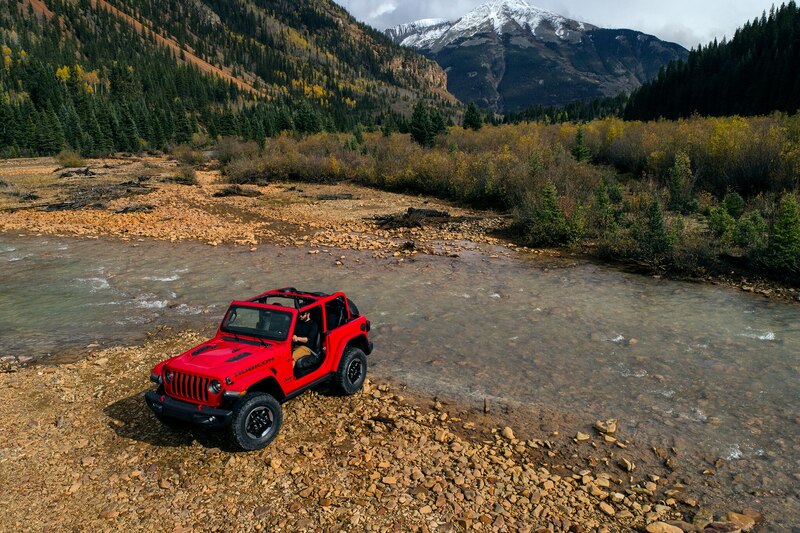 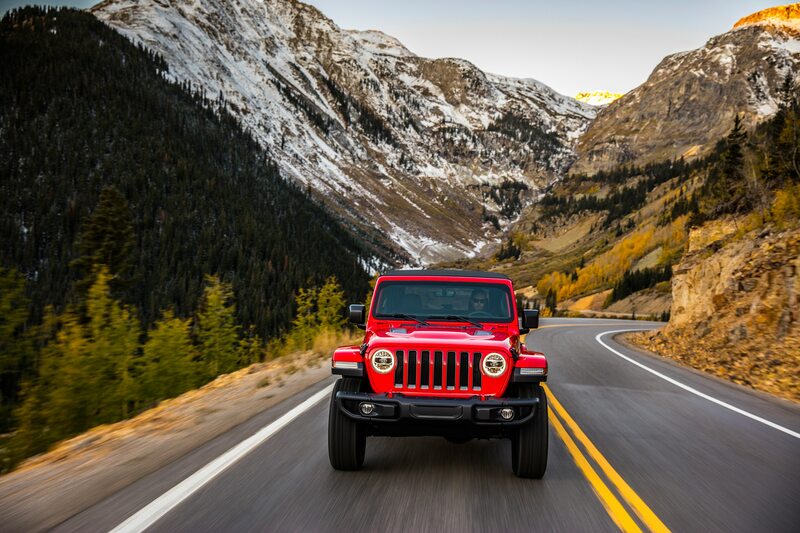 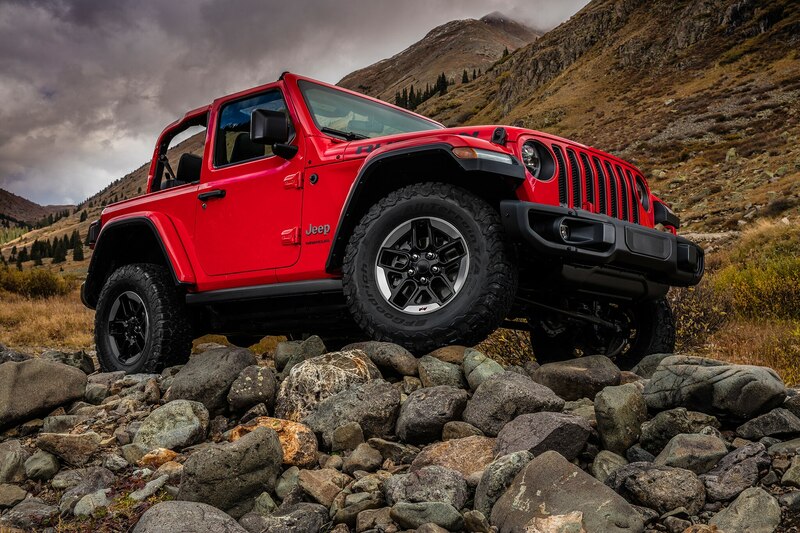 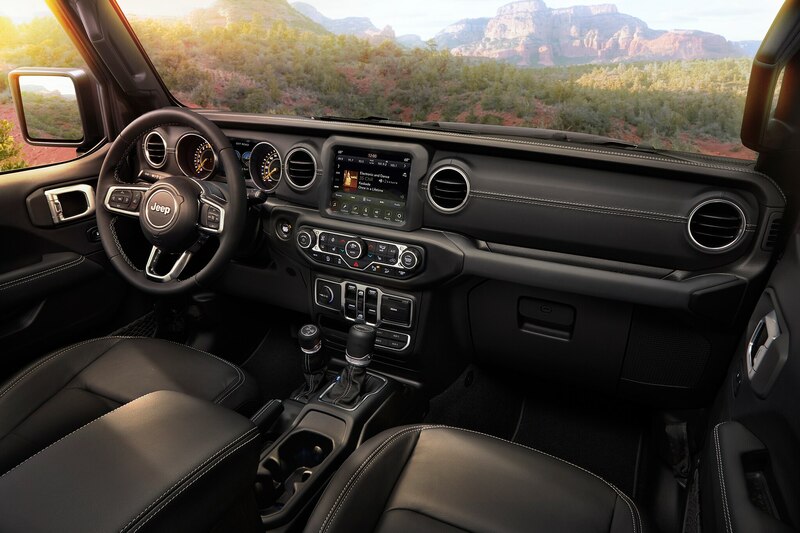 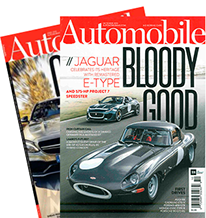 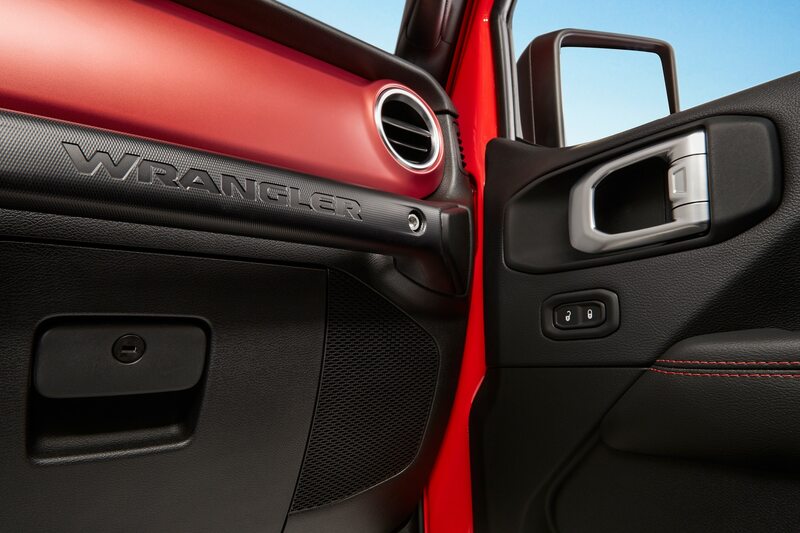 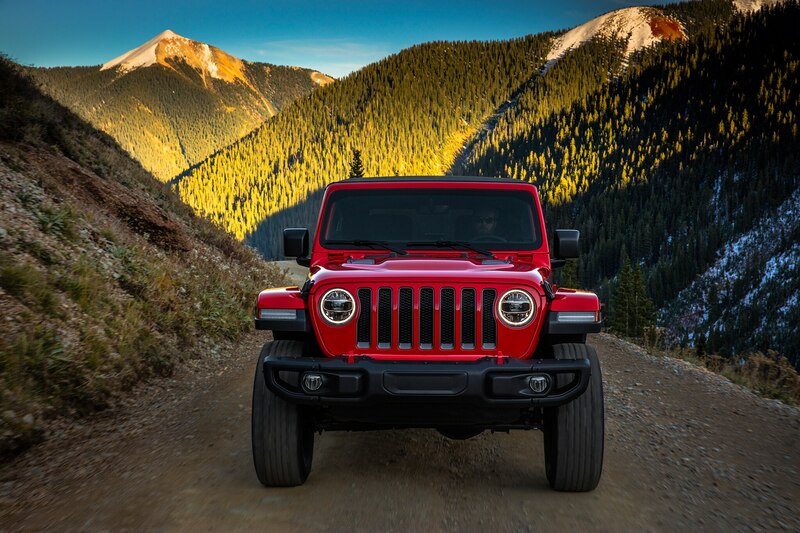 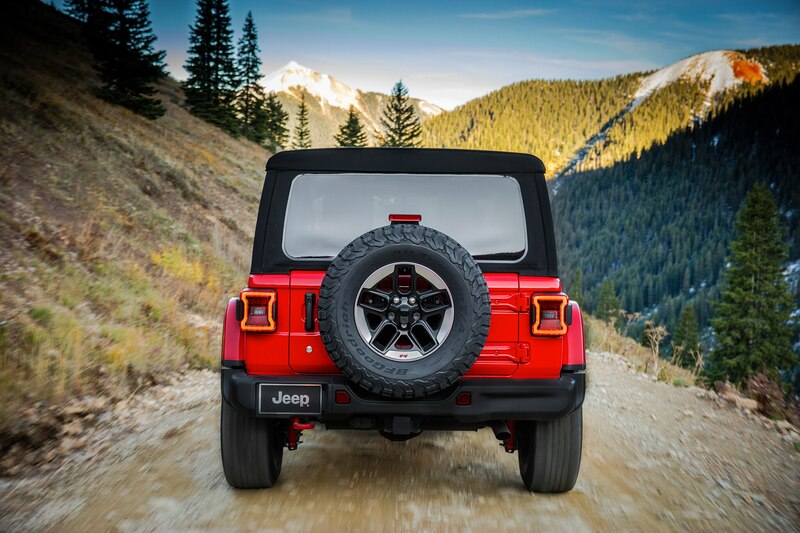 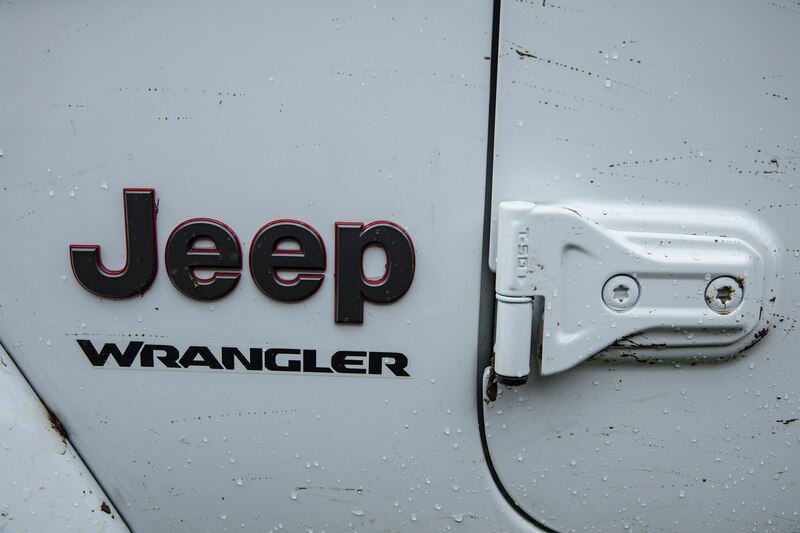 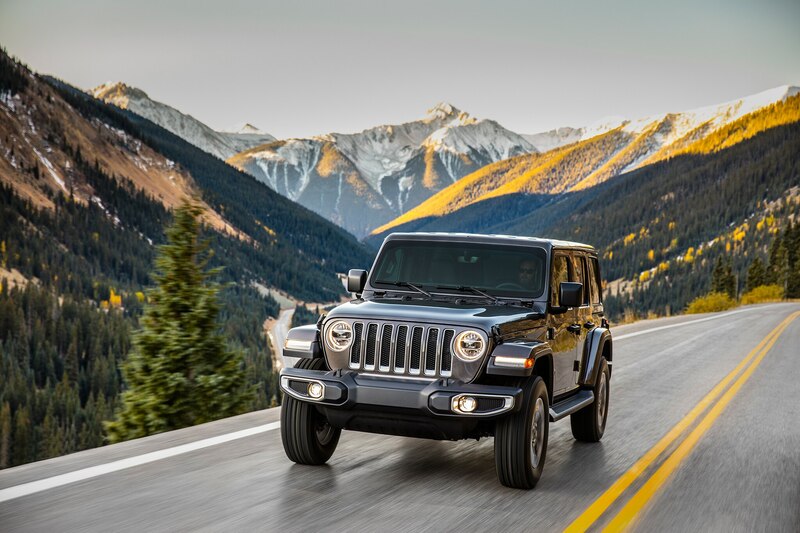 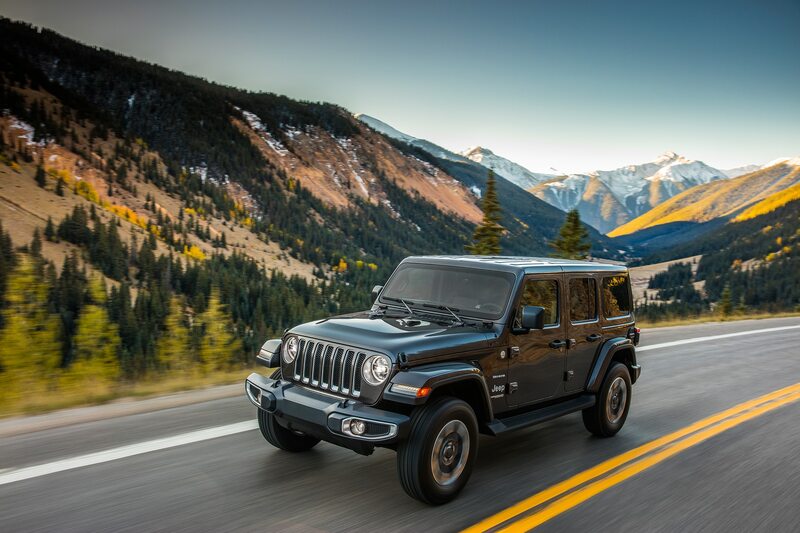 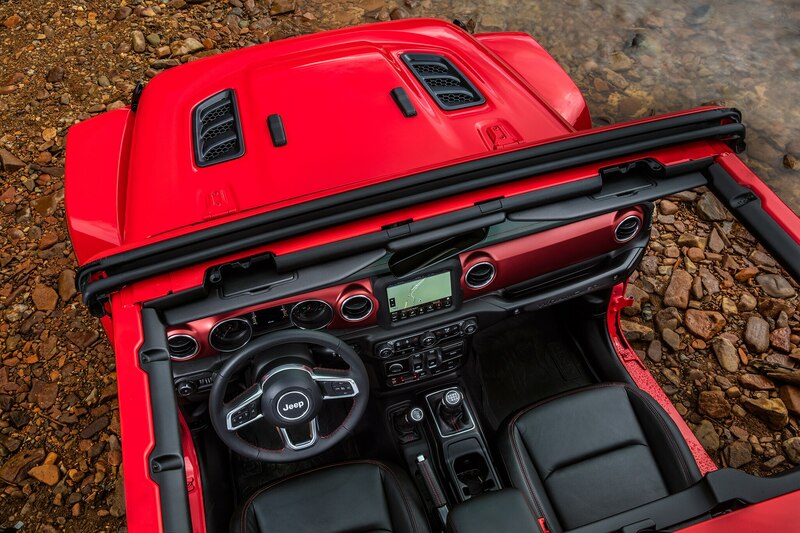 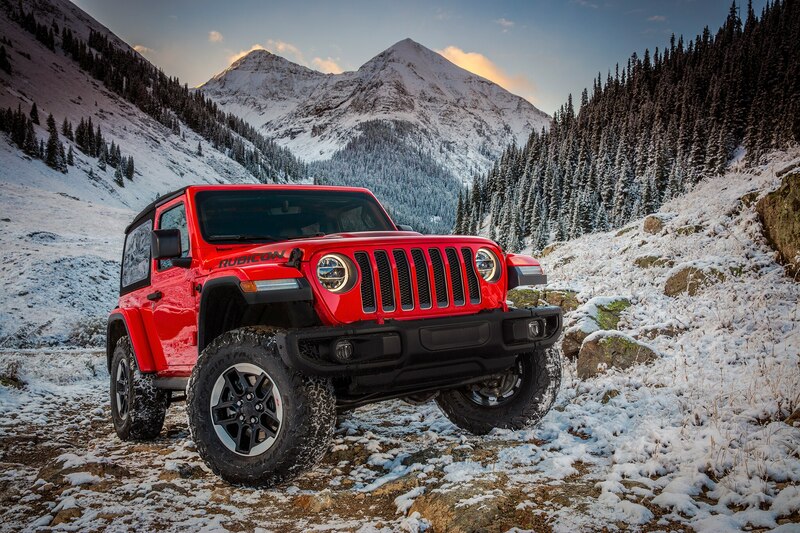 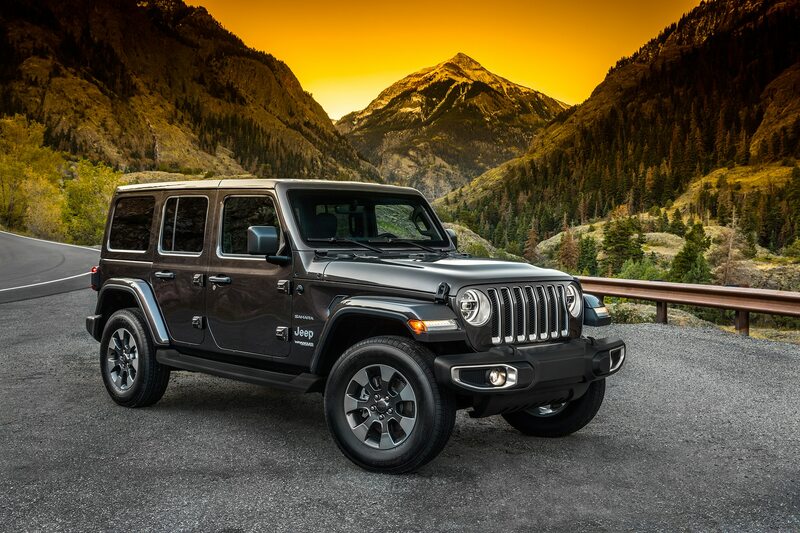 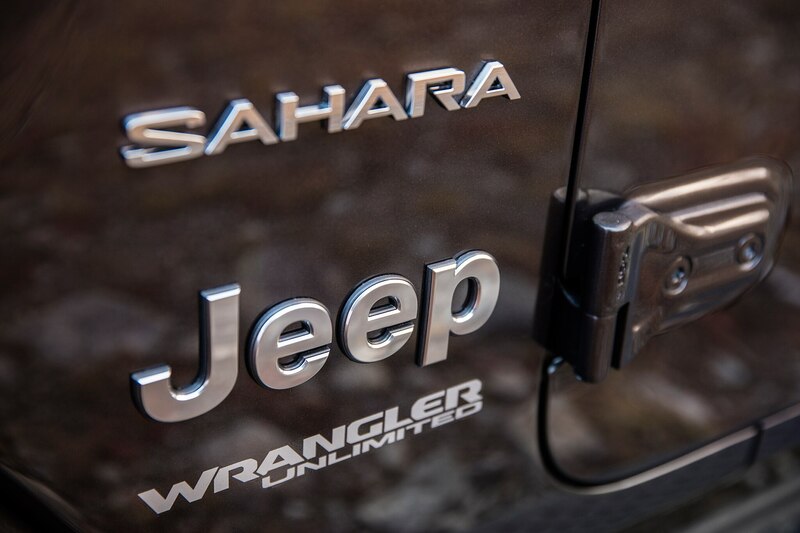 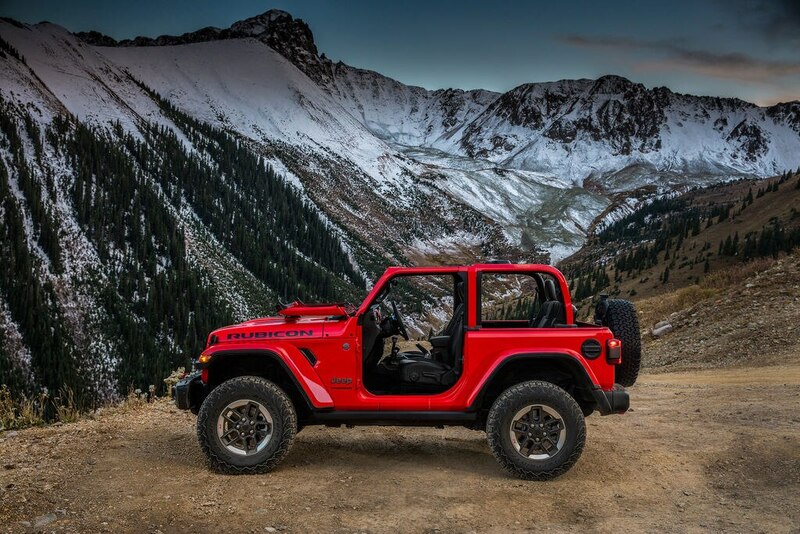 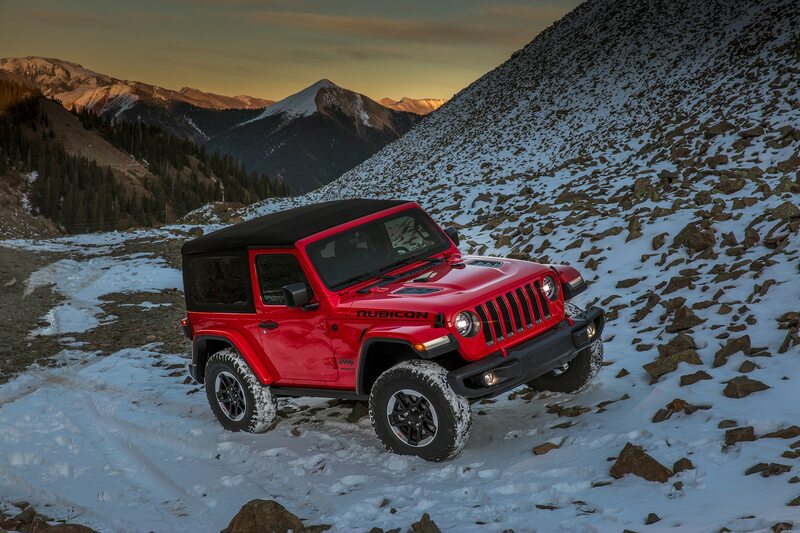 Considering that 98 percent of Jeep Wranglers are typically fitted with at least one Mopar accessory, we’ll be seeing a lot of these features on new-generation Wranglers. 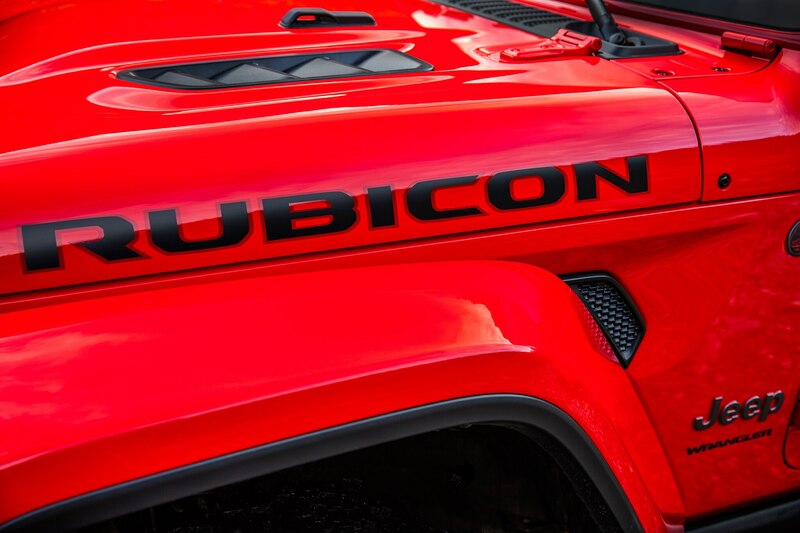 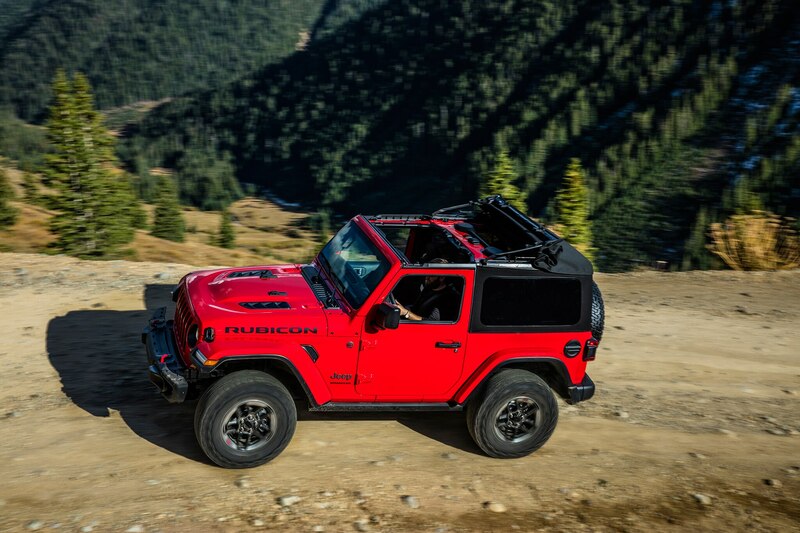 First off, Mopar modified a four-door Wrangler Rubicon. 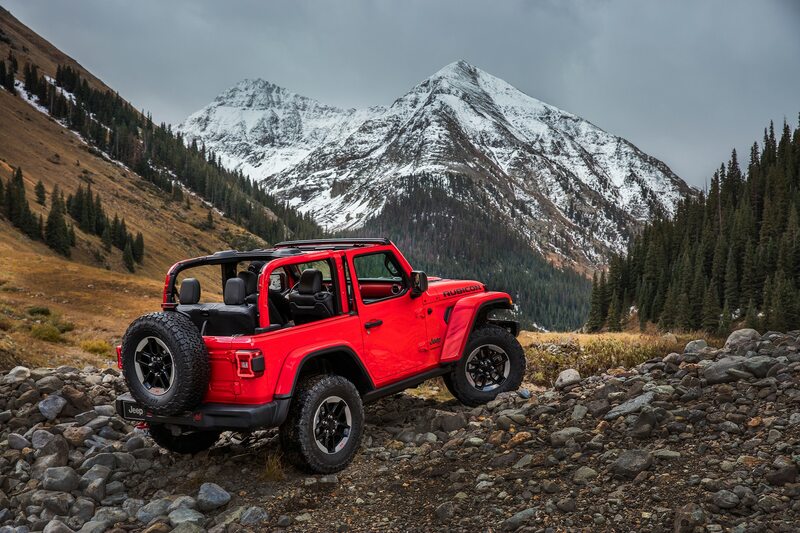 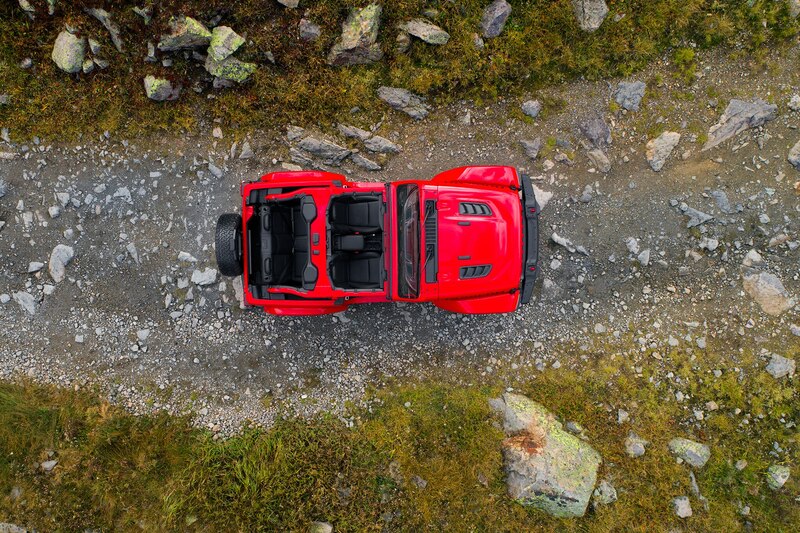 This model has rock rails that are thicker and wider than previous offerings and lined with an improved coating similar to the one used on Ram truck bedliners. 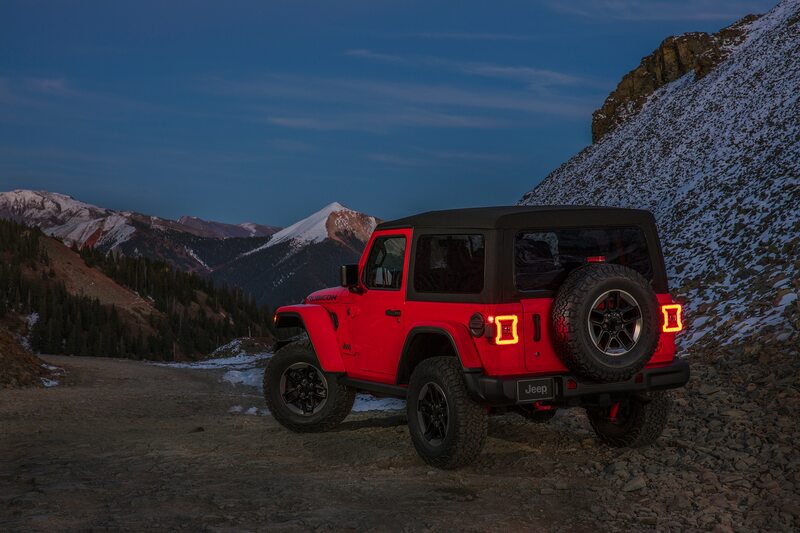 The special Rubicon, painted Mojito Green, also features LED off-road lights, a 2-inch lift kit, high-top fender flares, and 17-inch beadlock-equipped aluminum wheels with a 12mm offset for improved off-road capability. 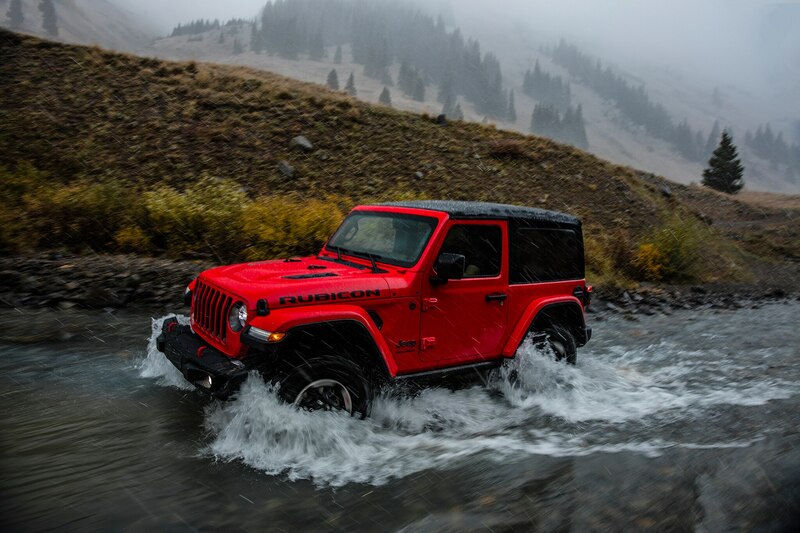 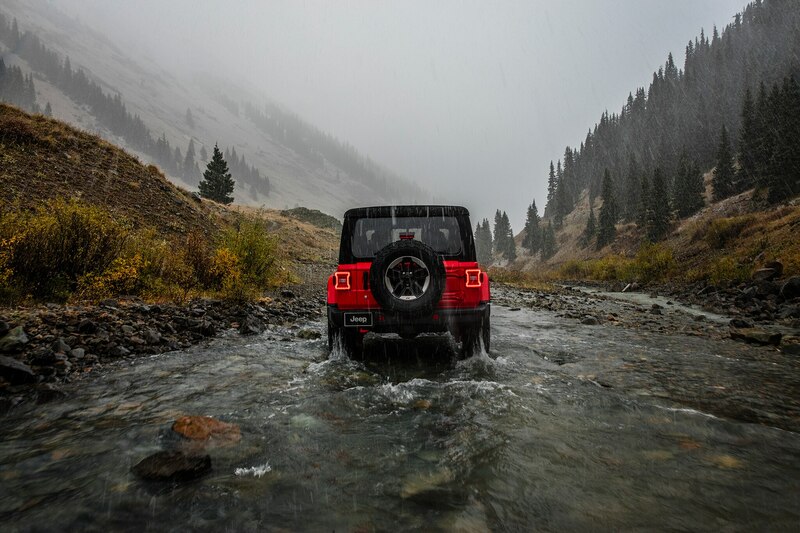 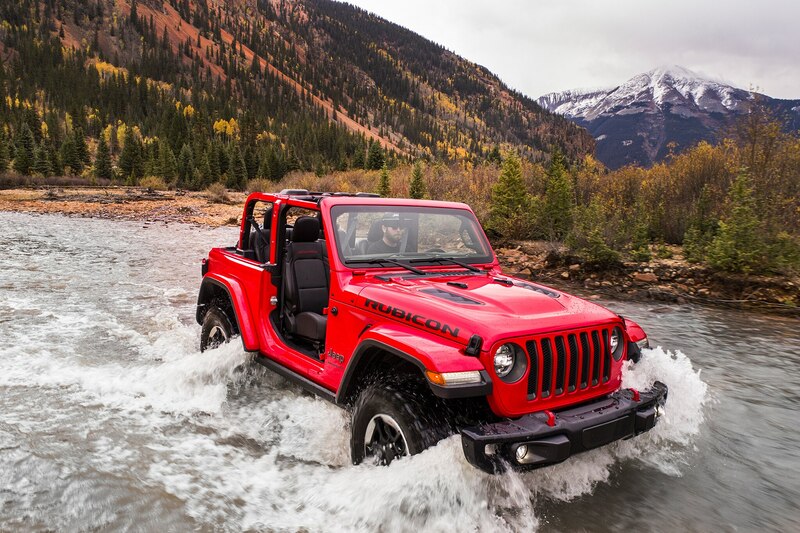 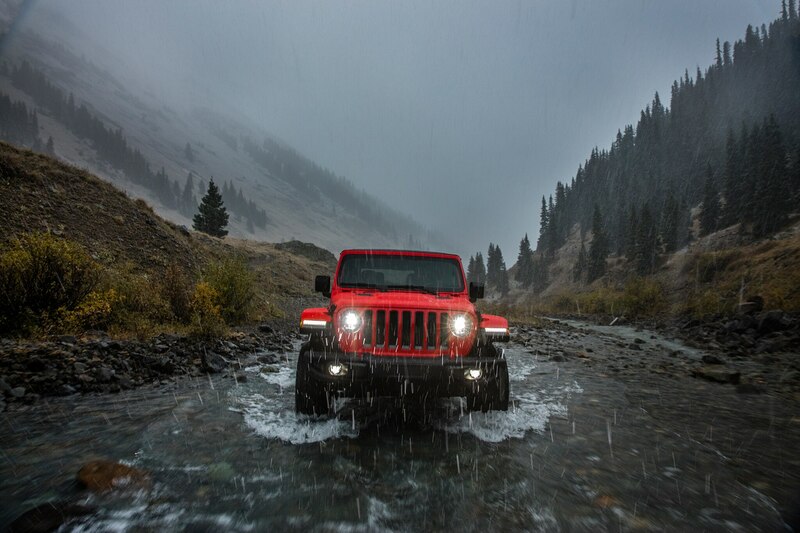 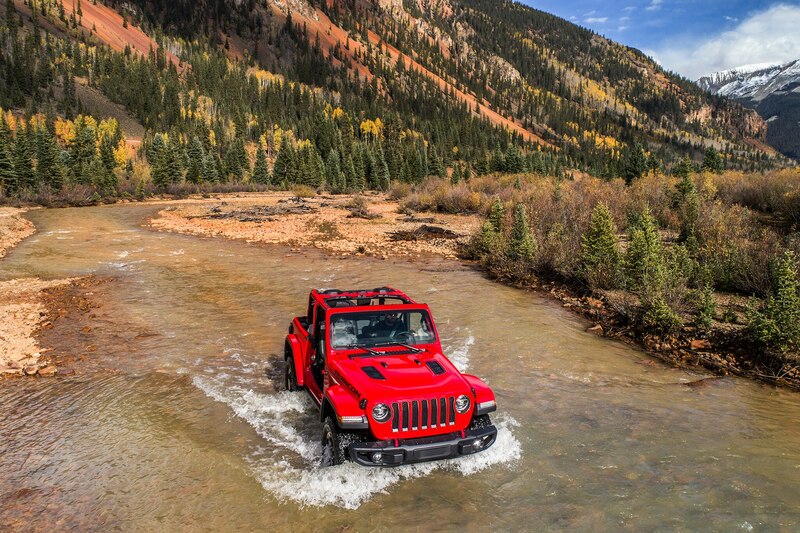 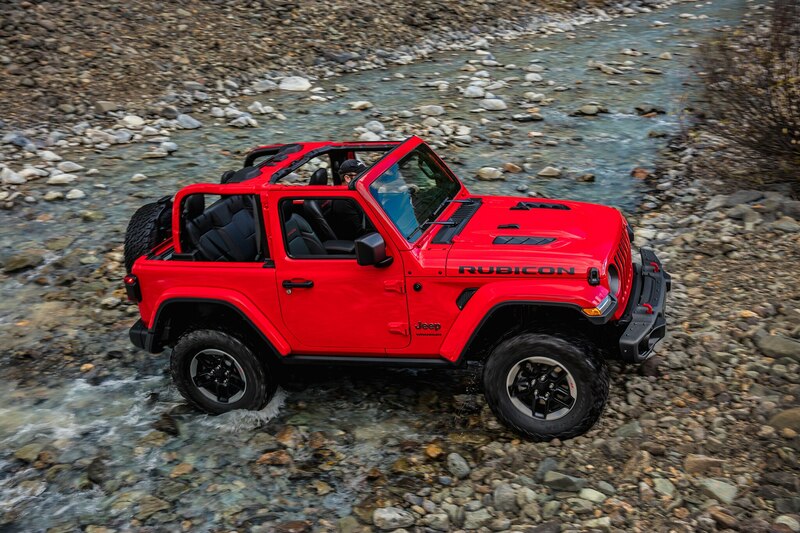 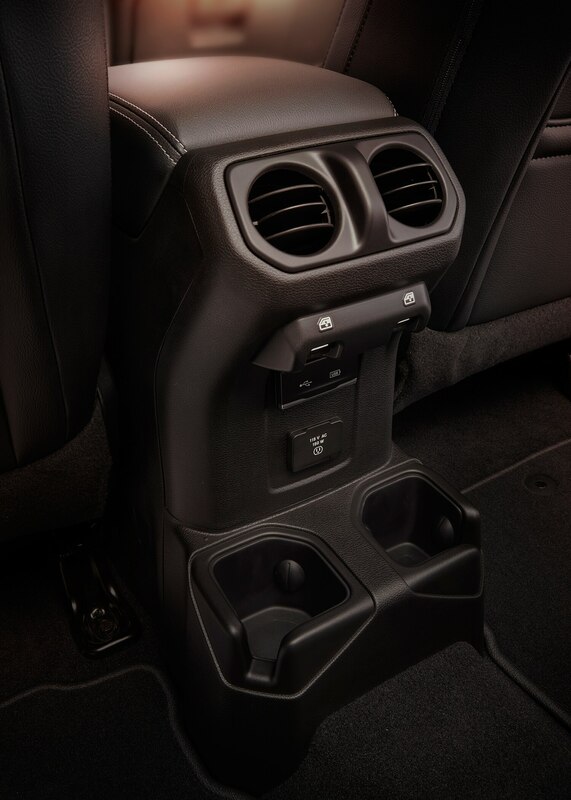 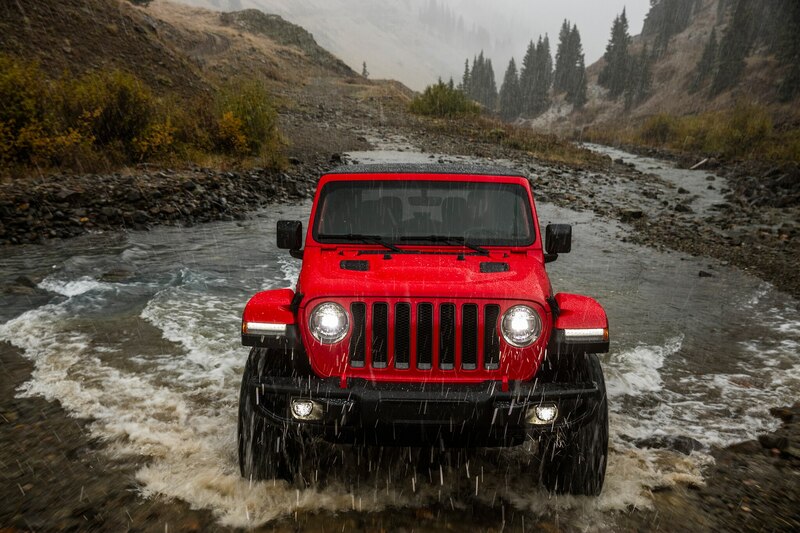 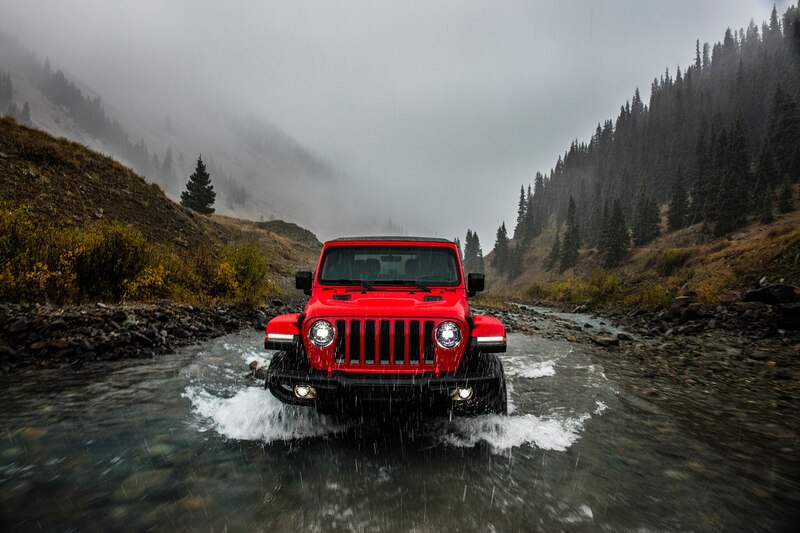 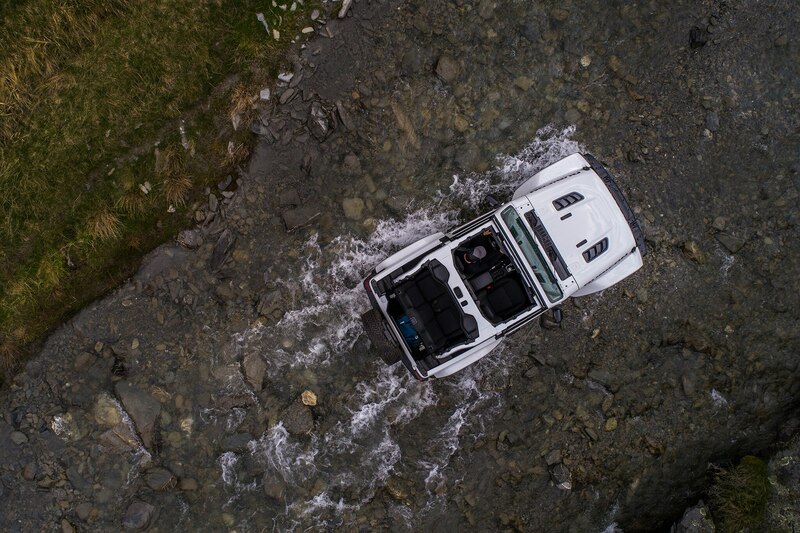 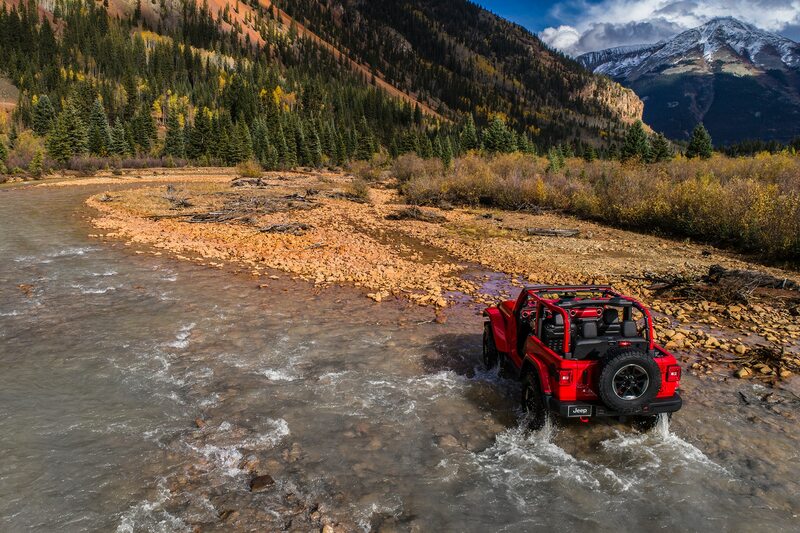 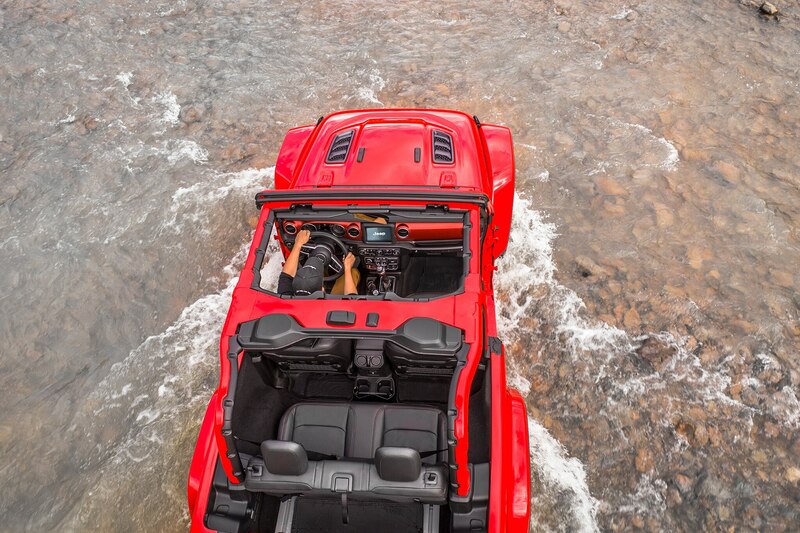 In addition to a specially badged snorkel, the model also gets a Mopar cold-air intake to cool the 3.6-liter engine and keep water out when crossing rivers. 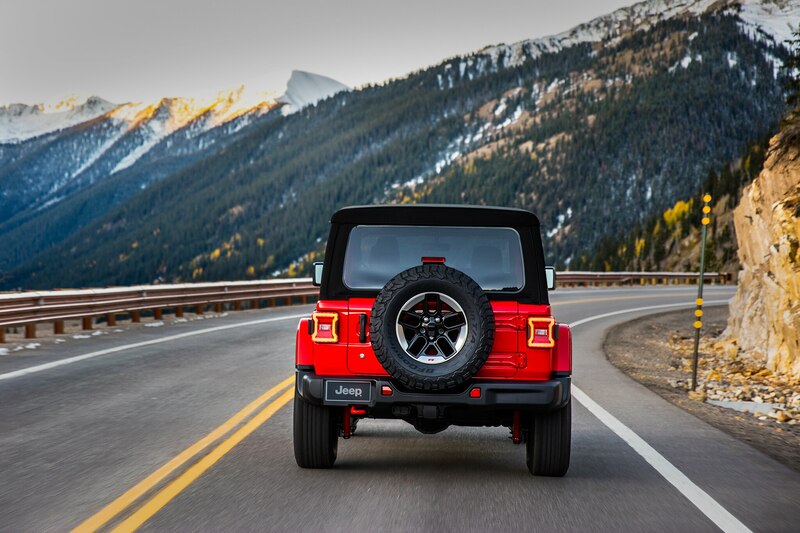 Meanwhile, a high-mount stoplight allows other drivers to see the Wrangler’s brake lights when the spare tire carrier is in use. 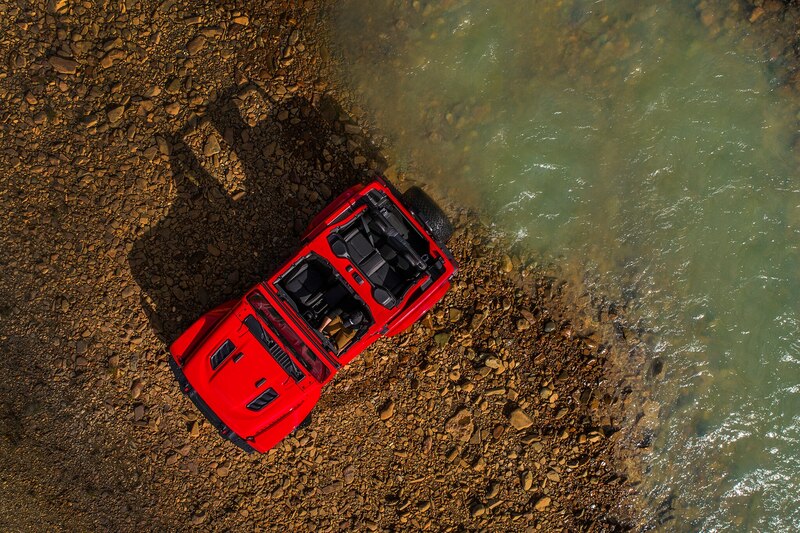 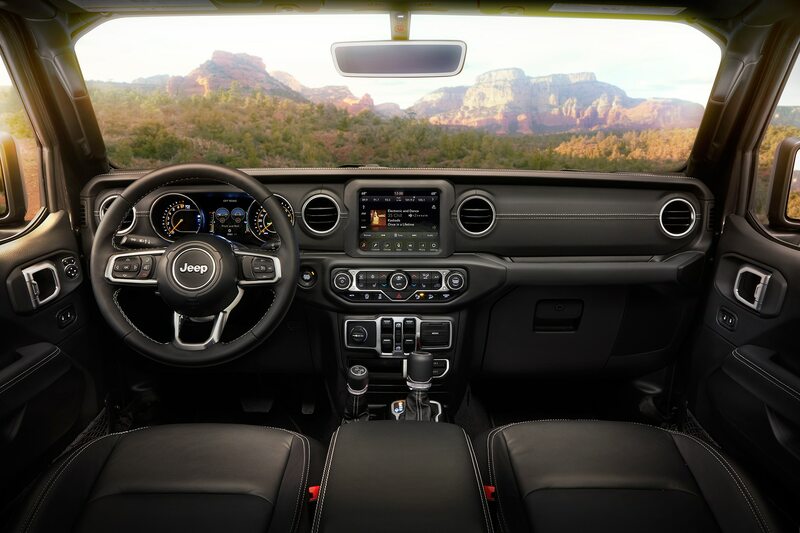 Inside the cabin, the green Wrangler features special grab handles with better grip, a new screen protector for the infotainment system, and all-weather floormats with a Moab-inspired design and an integrated plug for help removing water. 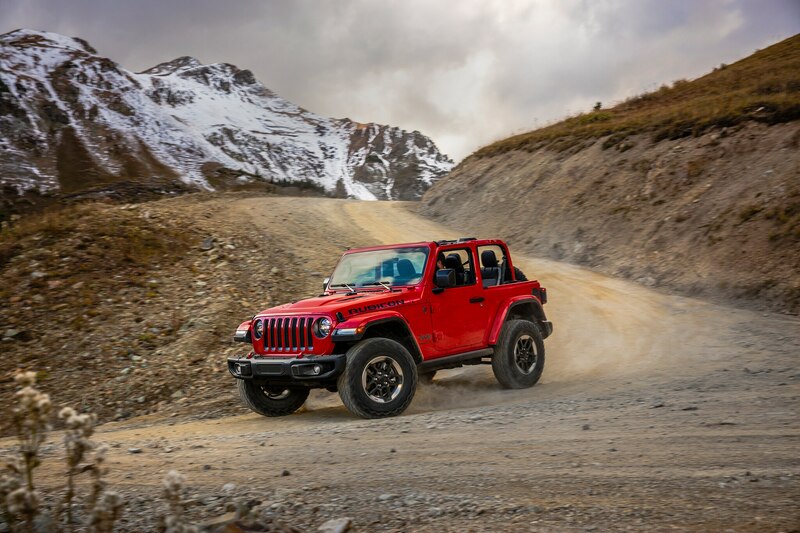 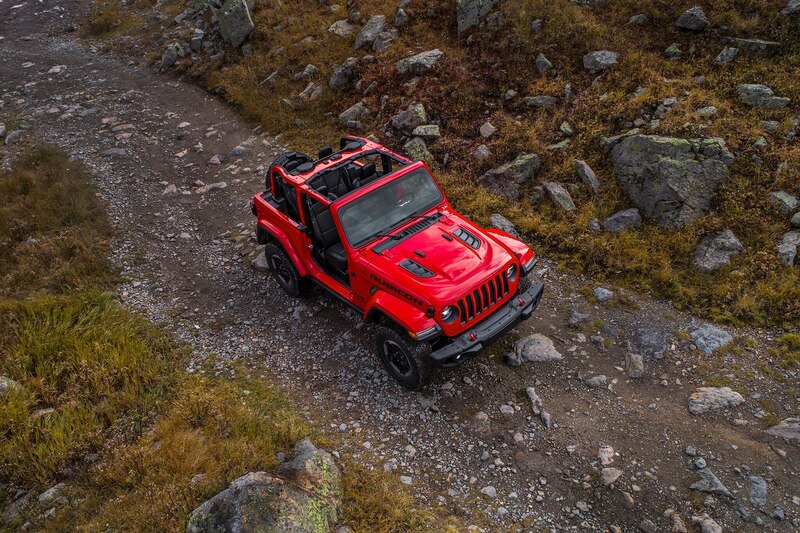 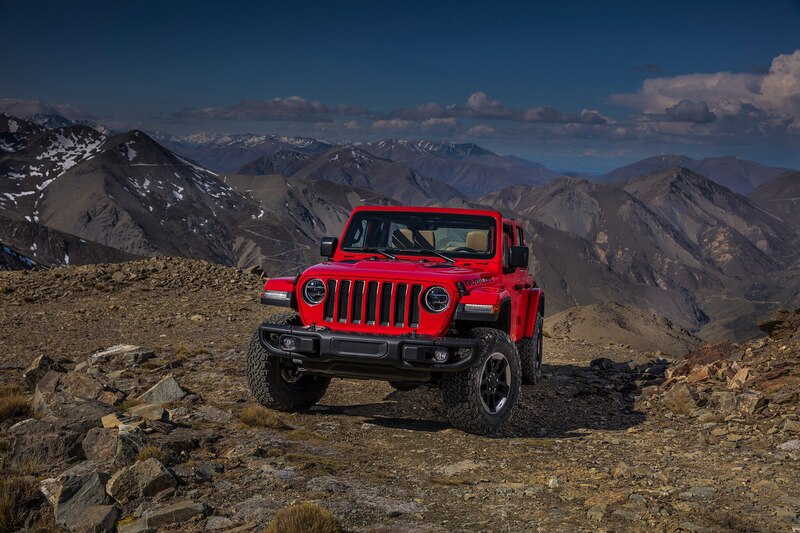 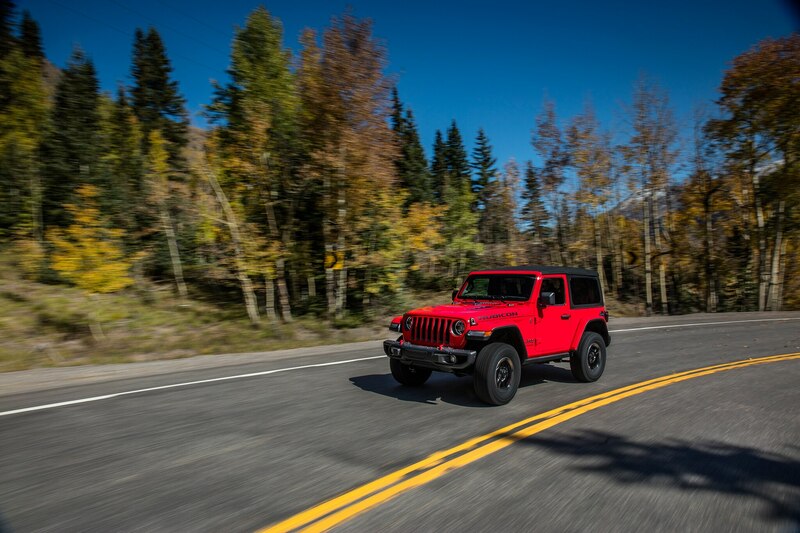 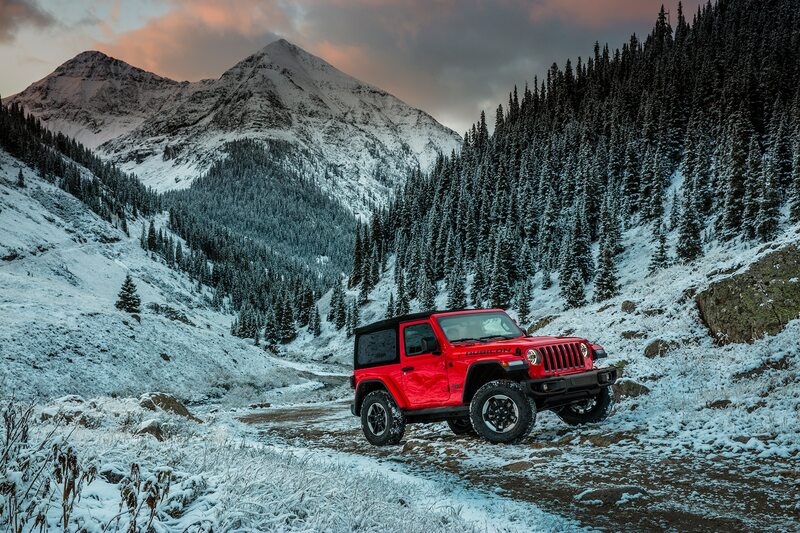 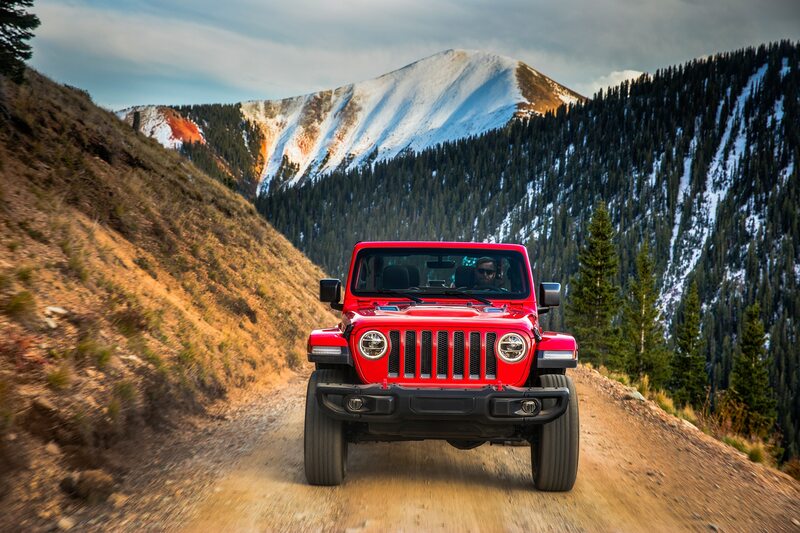 Mopar also unveiled a special Wrangler Sport with a redesigned hardtop headliner for better insulation, American flag hood graphics, Moab-themed side graphics, and 17-inch “Gear” rims. 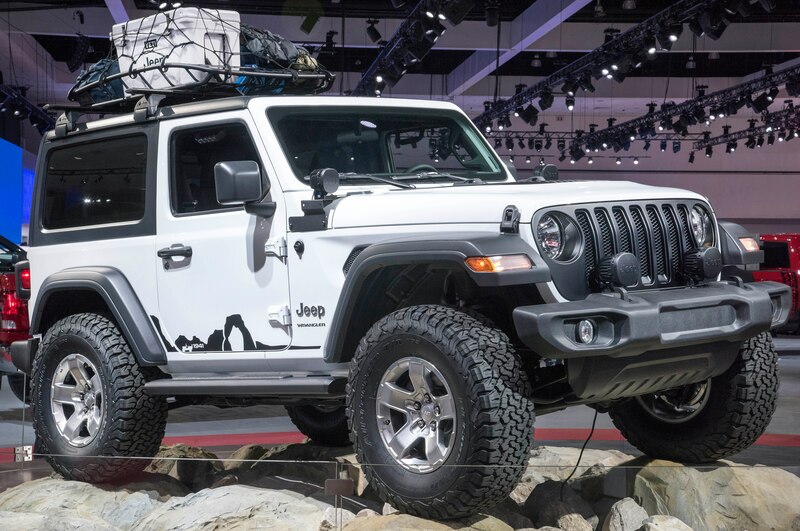 The model also has tube steps and a 2-inch lift kit as well as off-road LED lights. 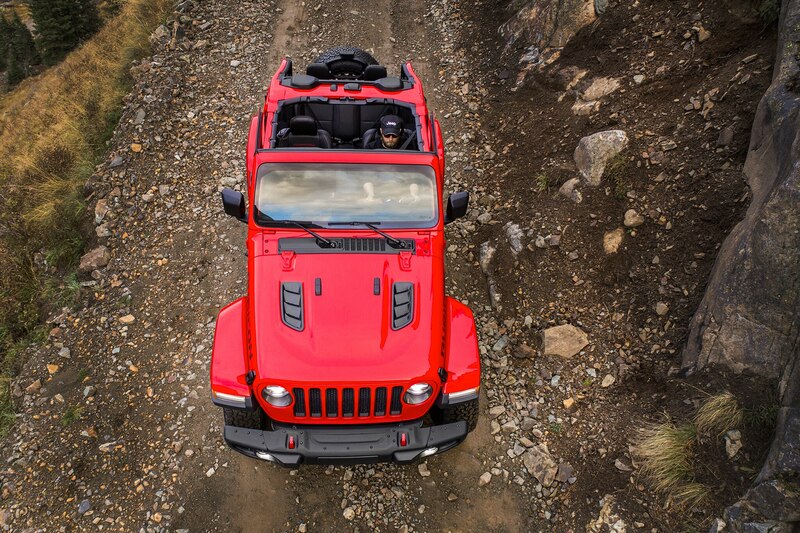 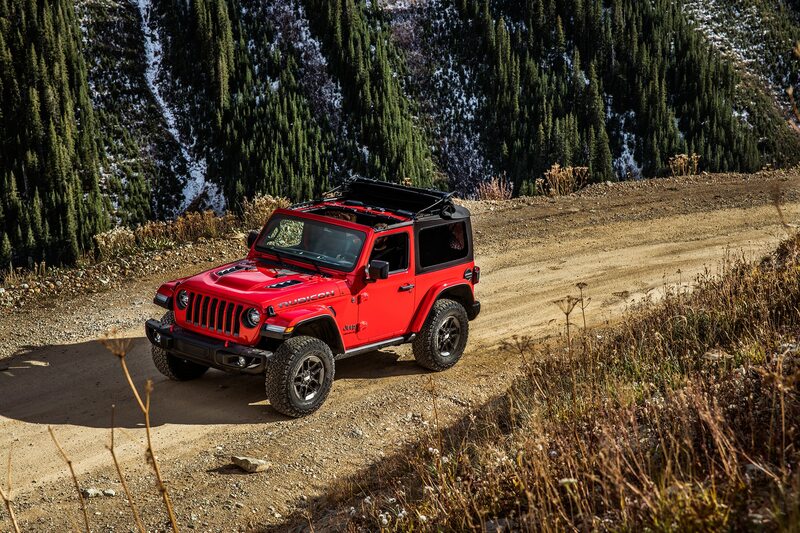 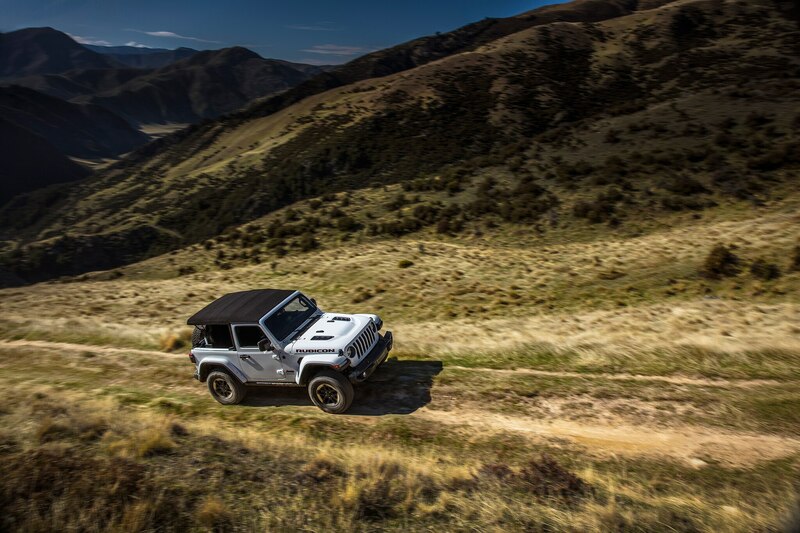 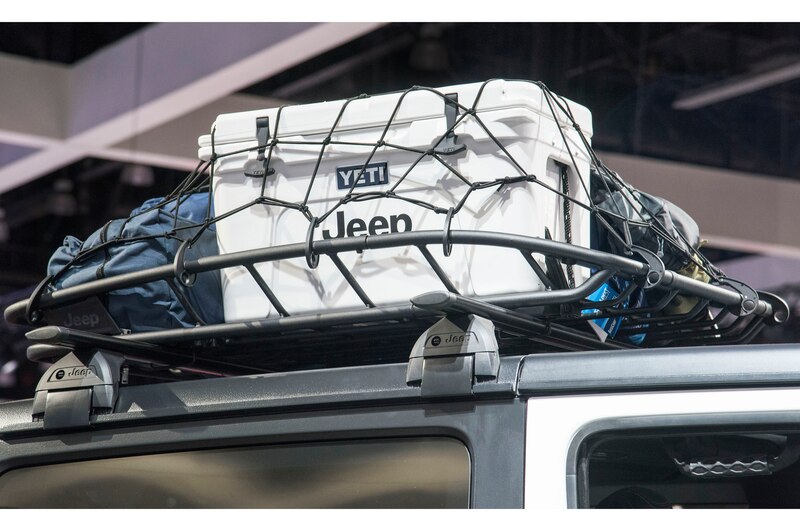 For the first time ever on a Wrangler, Mopar is offering a roof rack for mounting Mopar carriers to the hardtop. 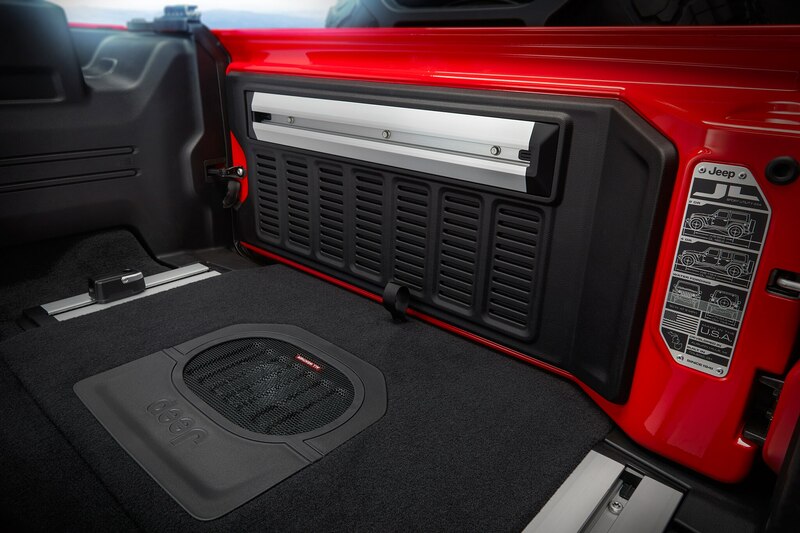 Another new feature is a tailgate table that flips out for extra storage space and folds back in when not needed. 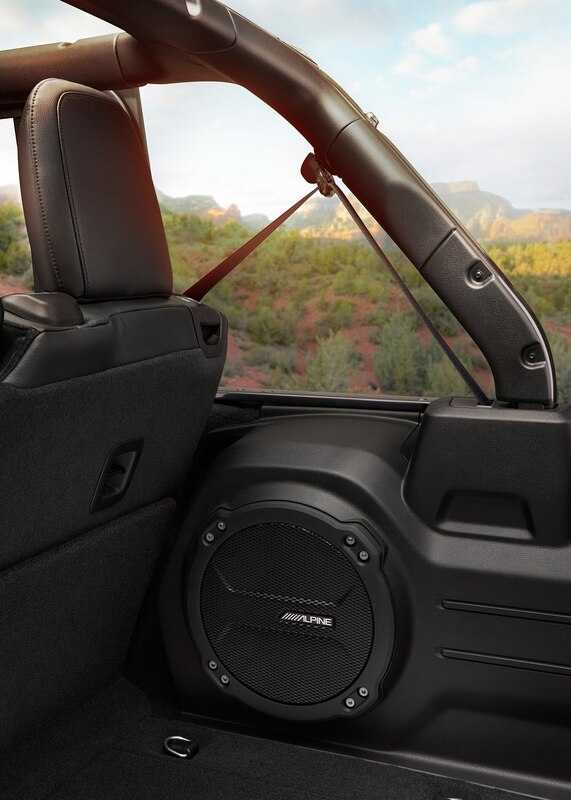 This table can be mounted with or without the production Trail Rail storage system. 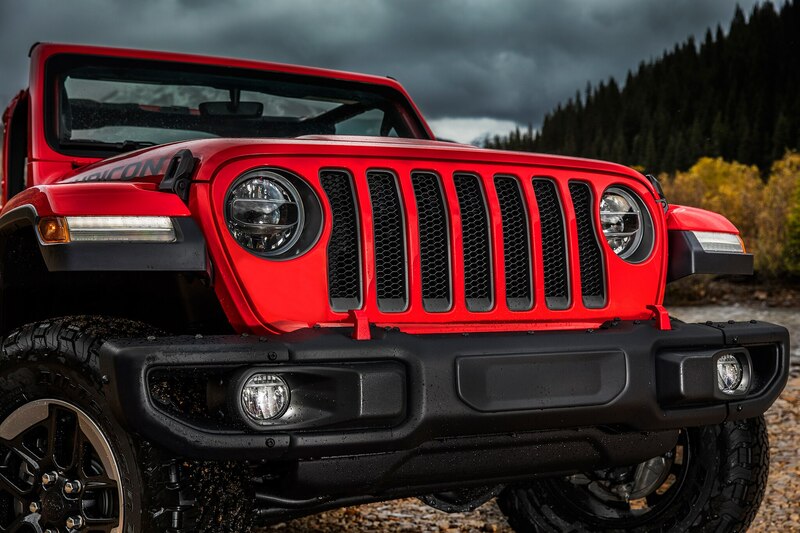 Mopar will offer more than 200 parts and accessories for the 2018 Wrangler. 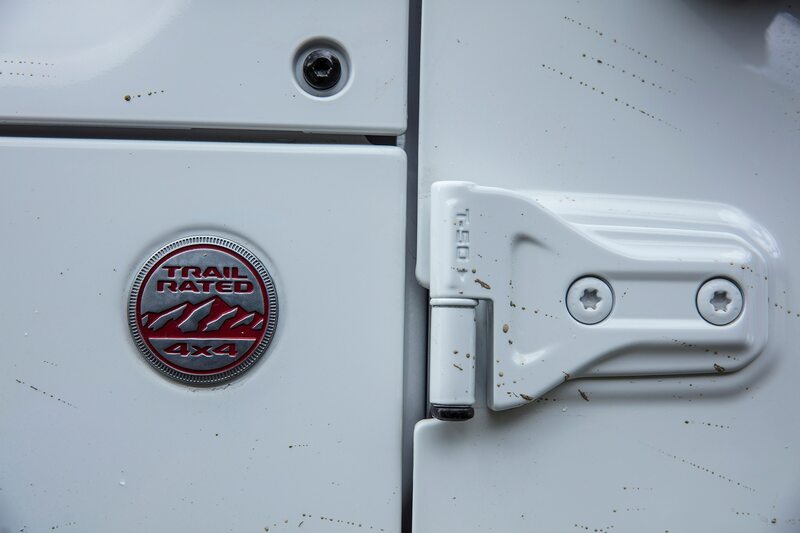 Most will be available when the vehicle launches. 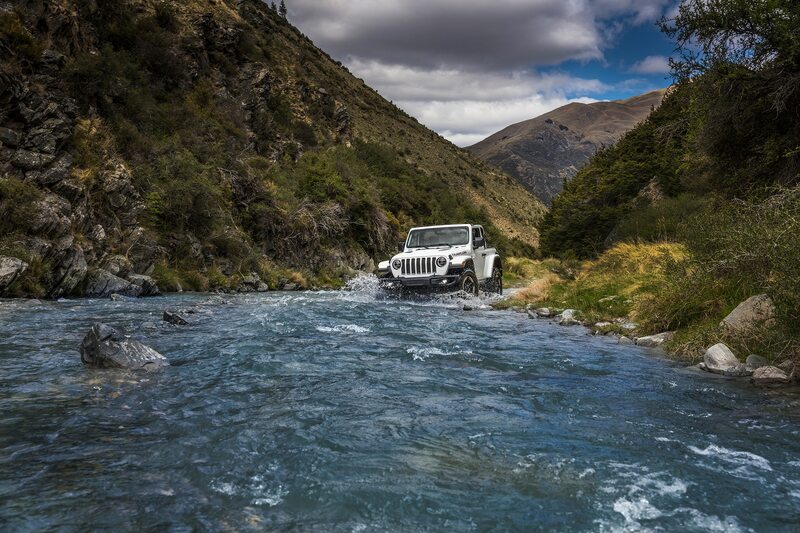 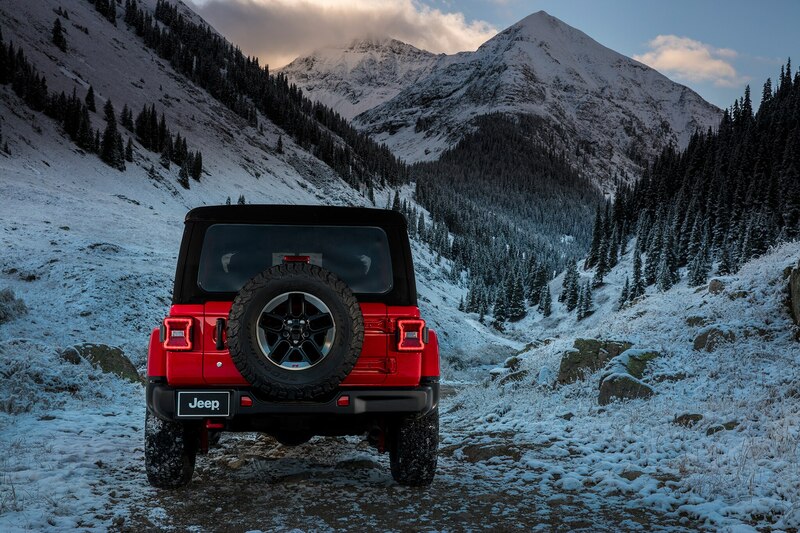 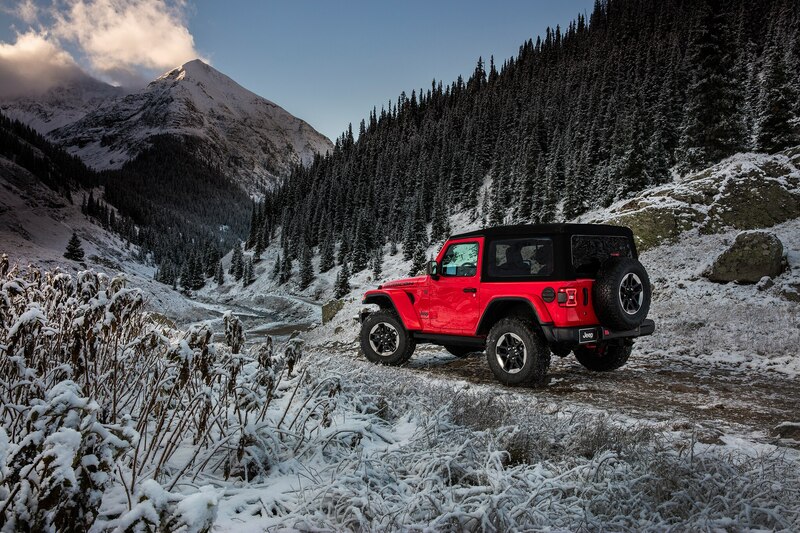 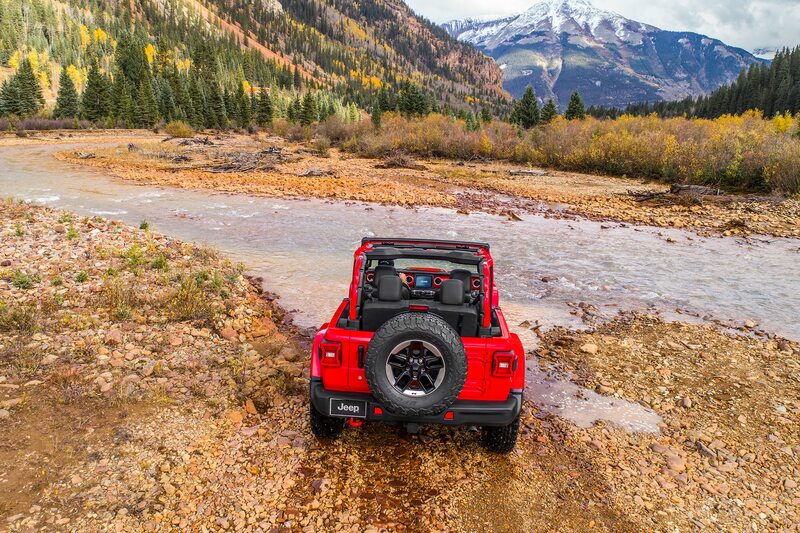 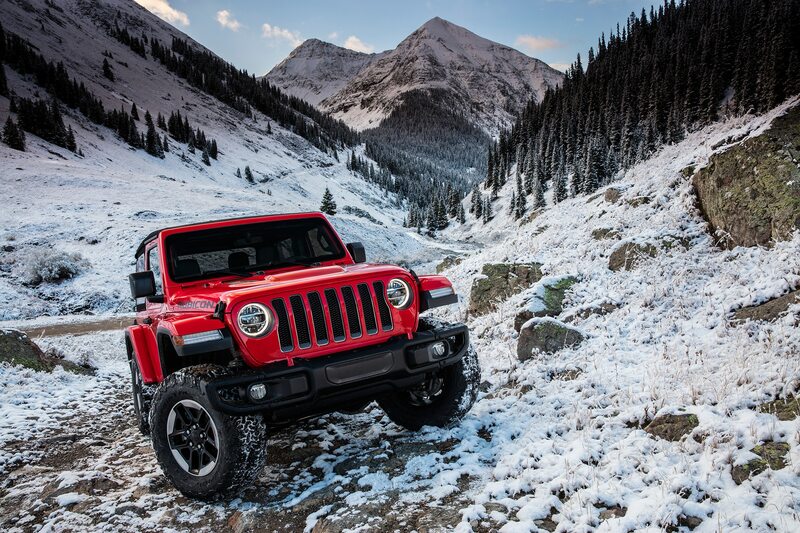 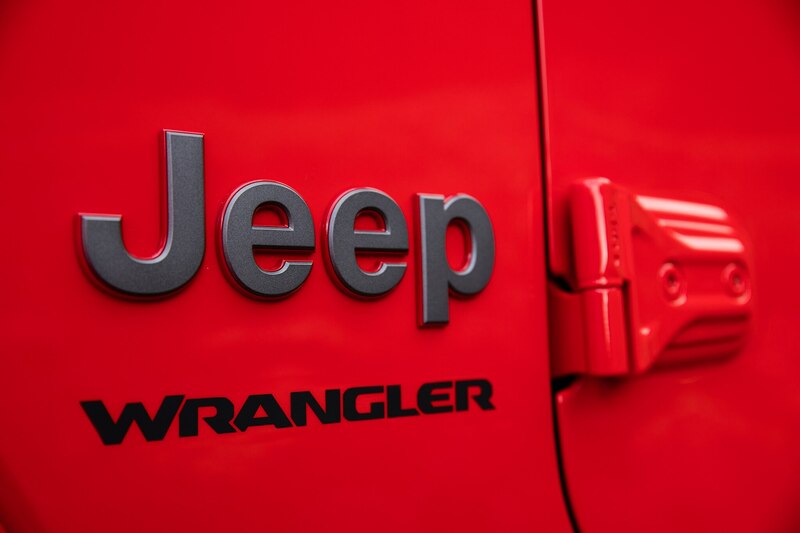 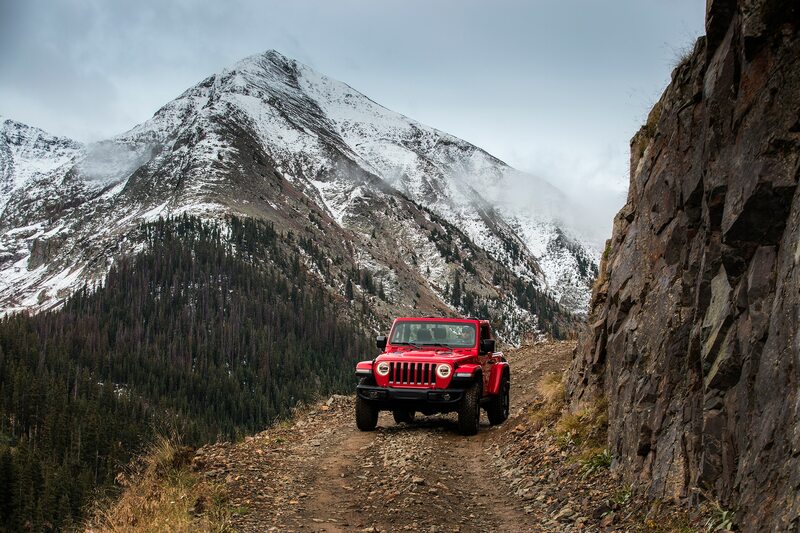 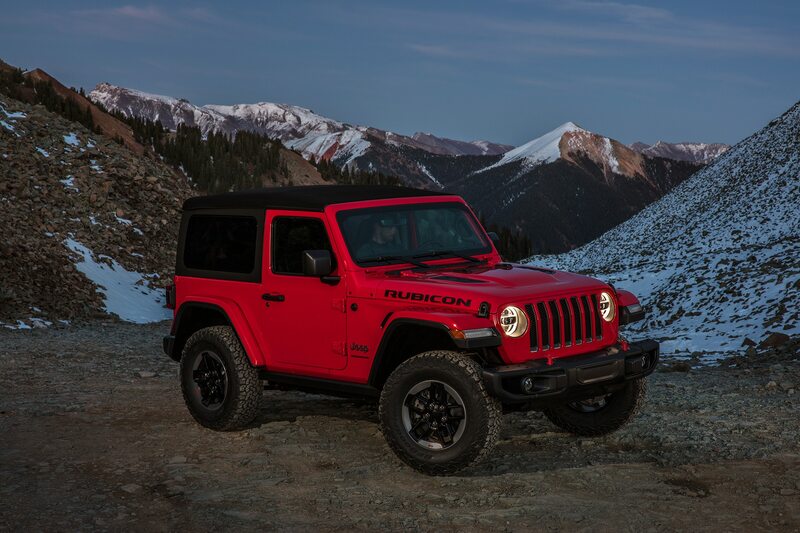 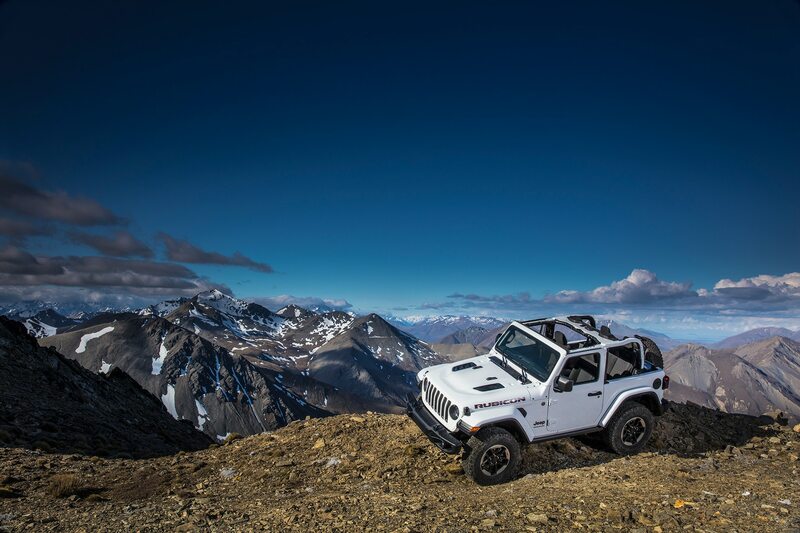 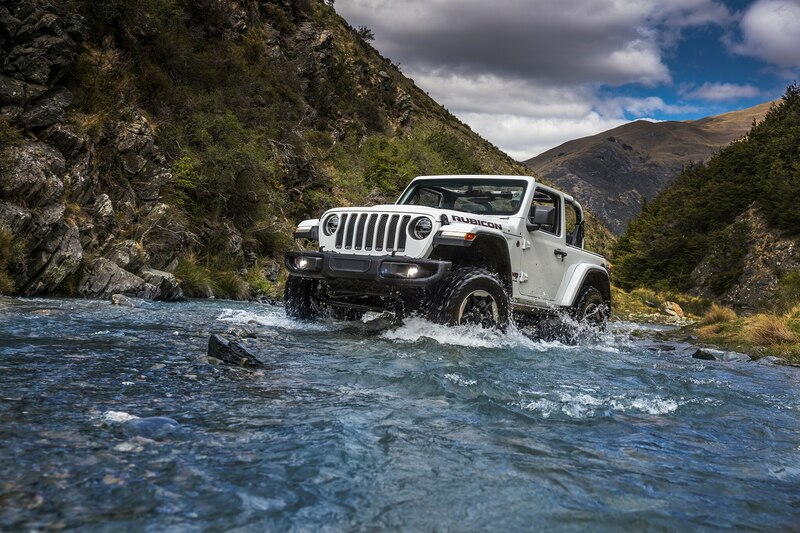 Production of the new Wrangler begins this year.